As I’ve been on Erasmus, many of my classmates have also been on Erasmus or working in industry. I have been keeping up with their blogs to see what they’ve been up to. As CU requires I write a post where I compare other blogs I felt I should also pay attention to other student’s blogs who I don’t know to see how they have experienced living in another country or working in industry. To my surprise, even though the blogs I have looked at from students who are living in completely different places to me, there are universal experiences we all share. 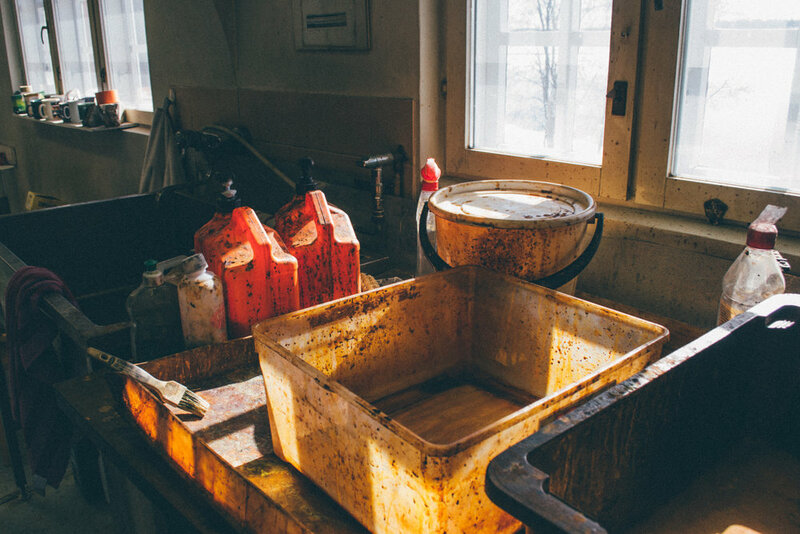 One blog, which I felt I could really connect with, was by Kipras Varanavicius; a Media Production student from CU, who has been studying Fine Art in the Netherlands. I immediately found similarities between his blog and mine, we both travelled to another country to study Fine Art; something different from what we study at home. Kipras also uses his photography on his blog to explore and document his experiences, a creative process that I also use. Kipras explains his initial struggles with the teaching styles of his new University, struggles that I too faced. It is a shock to the system coming from Coventry University, with its well-structured teaching methods, to a completely experimental way of teaching. Like Kipras, I was also encouraged to try other mediums in art. My teachers were frustrated with me from just creating images, so I was somewhat forced to try painting and drawing etc. However, I am very grateful I was pushed out of my comfort zone and to go against my usual way of working. At first I was daunted with trying other mediums of art because I felt I was not good enough, however I have now learned that this year is a year for experimenting and trying new things. I learnt new skills and new lessons and more about the art I was creating. I feel Kipras has also benefitted from experimenting with other ways of working, especially in his ‘performance’ modules - encouraging him to think differently about art. Another blog I have been keeping up with is Milo Lethorn’s, he is a friend/course friend of mine and we both study Photography together at CU. I have been following his weekly vlogs, I found it really useful to visually see him documenting his time and get a true sense of his Erasmus experience. Milo is studying Film studies at Karlstad University in Sweden, (a University I originally applied for that unfortunately didn't work out through no fault of my own) so I have been living my what-could-have-been thoughts through Milo’s blog. In retrospect, I am fortunate now that I had the chance to study in Lapland, but I can’t hide my initial gutted-ness from not being able to study at Karlstad. As Milo and myself study in somewhat similar climates and landscapes (meaning we have seen a lot of snow) our images are so different even though we have been photographing a similar subject matter. We have both created personal bodies of work that reflect our new environment and it is interesting to see how we have conceptually created these works. We have both had similar experiences with living in accommodation that is shared only with other international students. It is interesting that all of us students together have collectively tried to figure out how to live in a new place and experience a new culture; forming an ‘international family’ where everyone looks out for each other. The final blog I would like to discuss is by Tara Rutledge, a Media Production student at CU. Tara decided to do a year in industry as a freelance photographer/videographer in Coventry. I thought it would be interesting to see the difference between undergoing a study year abroad versus a year working in industry from a photography perspective. From reading her blog it is clear that Tara has gained a lot of confidence by working in industry as she has been able to ‘try out’ work she might like to do in the future, due to this she now has a clearer idea on where to go with her career after graduation. I chose to go on Erasmus because I felt I wasn’t ready to go into the working world just yet, but I can definitely see the benefits and skills Tara has gained by working freelance. 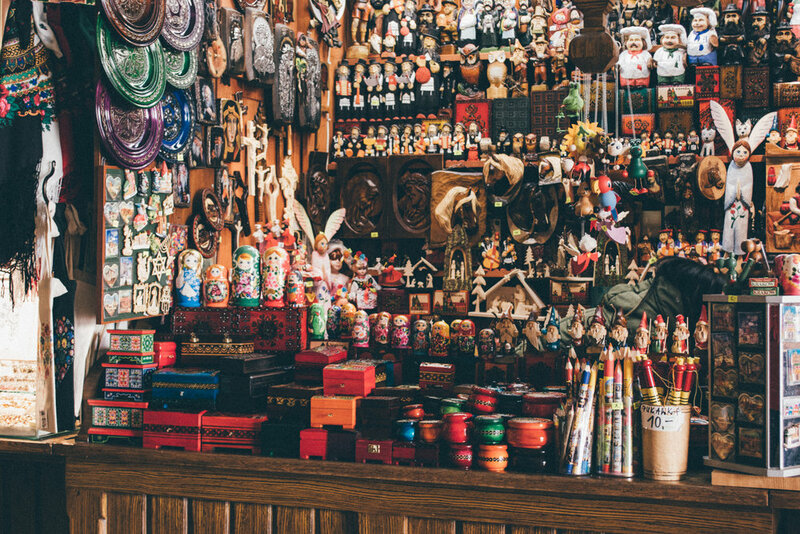 However, I believe I have gained other skills through traveling and experiencing another culture, as well as photographing in a completely different environment. Although Tara’s experiences and mine have been completely different, we have become more confident in our artistic practice and have learned more about what we want to do after graduation as well as gaining appropriate skills for our chosen line of work. I felt I should reflect on my year living in Lapland as my time here is coming to an end in May. Going on Erasmus was something I was extremely nervous to do, I never saw myself as one of those people who jumps into every opportunity regardless of how daunting it was. I was proud of myself for even applying in the first place. 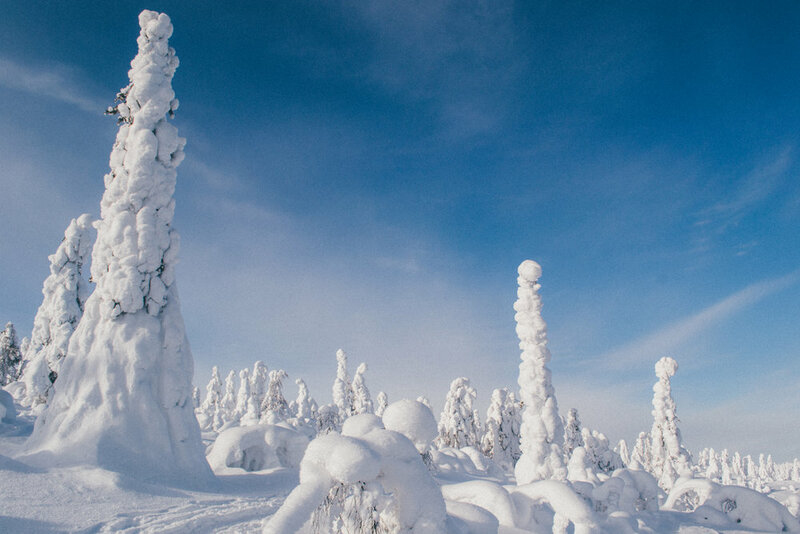 Lapland was nothing like I expected it would be, each month has brought its share of challenges and rewards. From my initial and continued struggle with the University, I have produced work to a high standard proving my worth to my skeptical teachers. The difference between my home University and the University of Lapland have caused some difficulties, academically and personally. Since arriving in Lapland with my course friends from CU, it has caused more trouble that it was worth, we are never seen as individuals and because our educational background was not favored by our ULapland teachers. I was pressured to move away from my typical way of working and to experiment more, while I did not disagree and knew that this year was an opportunity to experiment, I felt that I was judged unfairly before I had even arrived. 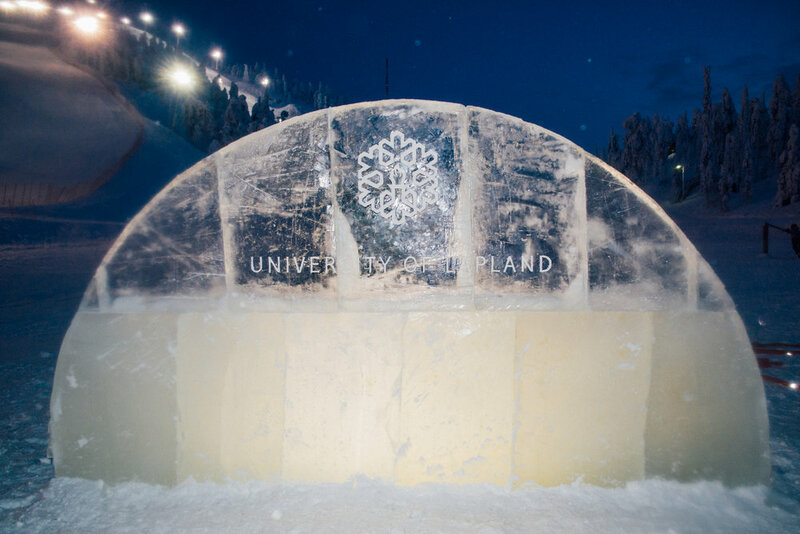 Nonetheless the courses offered to me at ULapland have influenced me for the better and I have taken opportunities that would be non-existent in the UK, such as my ice-sculpting workshop. 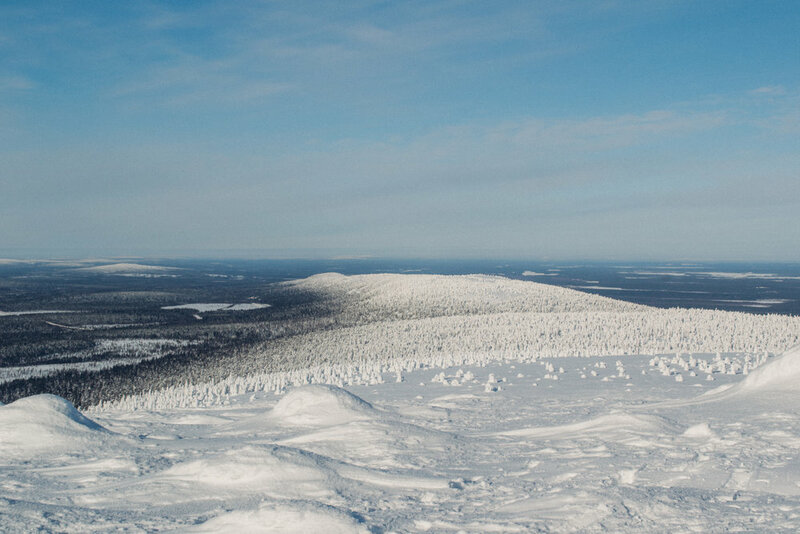 Lapland has been an incredible place to live; the views and way of life have been beautiful to experience. It has also been incredibly hard to survive in such an expensive area, there are days where I haven't been able to afford dinner or pursue some opportunities due to lack of funds. However, to live in the Arctic Circle has been a once in a lifetime experience and it has been interesting to live in such hard weather conditions where the locals don’t bat an eyelid. 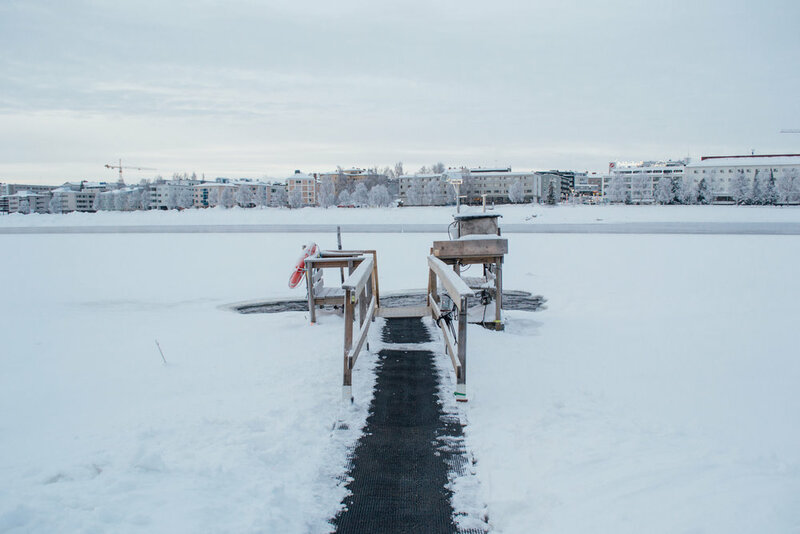 I have been very connected to the weather and nature and produced artistic work reflecting this, adding to my continuous relationship of adapting to life in Rovaniemi. 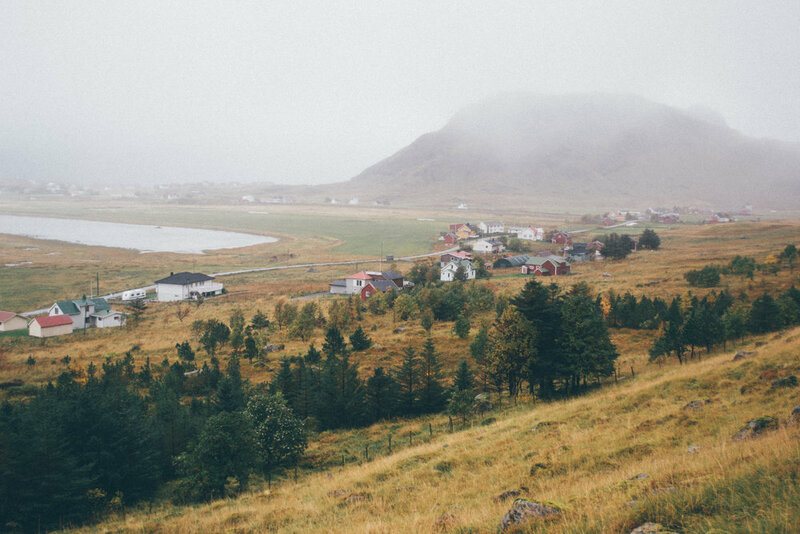 Although I am living in such a unique and gorgeous place I have been battling with loneliness, where I live is very isolating and in stark contrast to city life. Although I live with my course friends from CU, again us three moving here together has posed another challenge - a difficulty to make new friends. Coming as a trio has created a barrier between us and other international students, with all of our efforts to create bonds with other students it has been mostly unsatisfying. When I was on excursions by myself I found it a lot easier to make friends with other students. Although I was happy to move with my friends, as they have been a constant support system, I do sometimes wish I went on Erasmus alone. Going on an International Enhancement year obviously encouraged me to travel as much as possible while I had the chance. With a rather large dent in my bank account I am thrilled I have been able to explore various parts of Finland, as well as travel to Poland, Norway, Sweden, Russia, Estonia and Italy. Travelling has been helpful to improve my independence and open-mindedness to other cultures. I have had the opportunity to photograph these places, which will be useful for my photographic portfolio. I have also enjoyed the opportunity to discover art galleries and museums in different parts of the world. 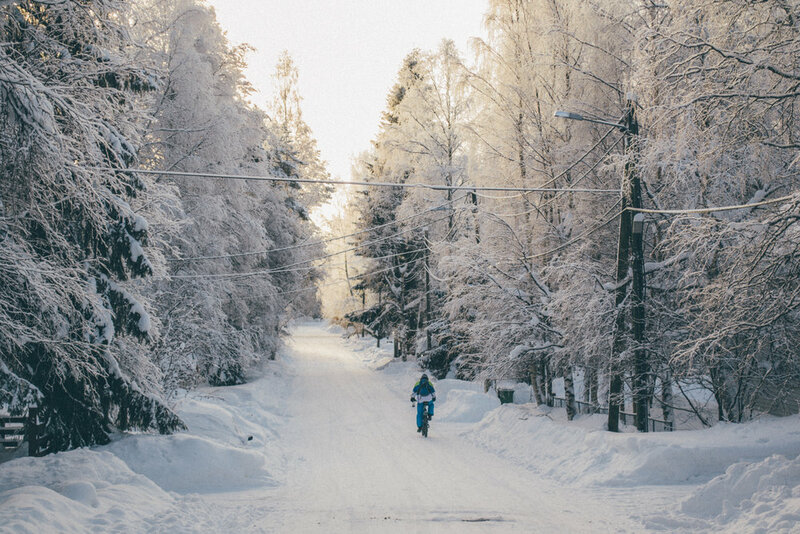 Overall, I am proud of what I have accomplished this year, from never living away from home before and suddenly having to create a life for myself in Lapland has taught me life lessons that I will carry with me when I return home. I have also learned a lot more about my identity, which has helped with my artwork. 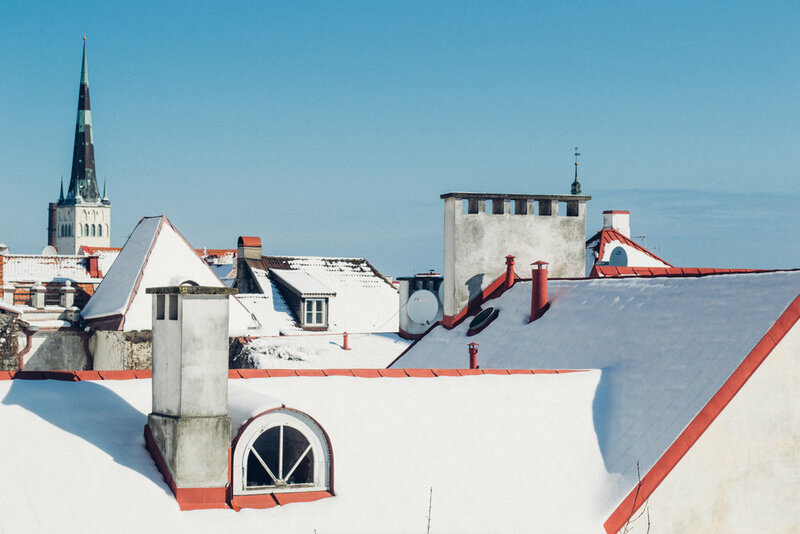 I have over come my fears and thrown myself into opportunities where I have experienced Finnish culture, encouraging me to live more free as opposed to my mundane and structured life in the UK. As part of my course ‘Art in Public Places’ there was an excursion to Oulu to visit various galleries, churches, studios and theatres to observe public art. This was the first time I had visited Oulu (another Finnish city) so it was a great opportunity to see the city and the art in Oulu. We visited Aineen Taidemuseo where I was really intrigued by the Estonian artist Jaanus Samma with his project Sweaters. 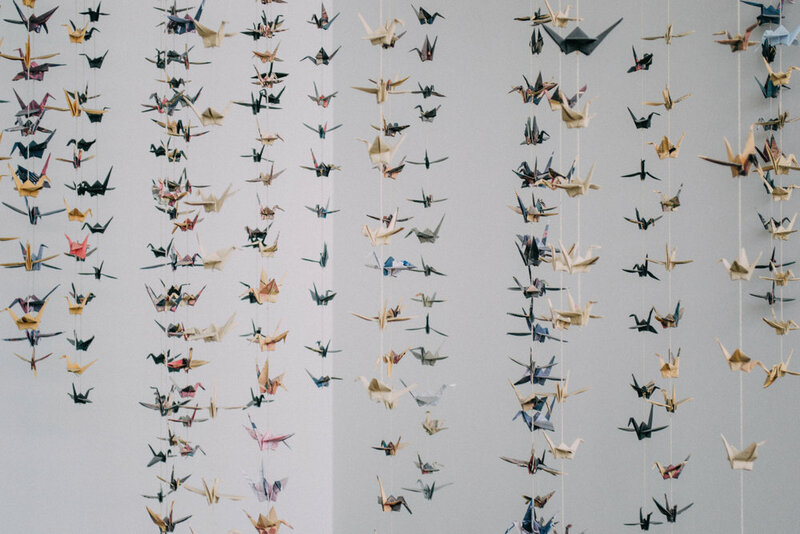 His exhibition featured jumpers (or sweaters) in frames on a wall. The jumpers had graffiti found around Finland sewn onto the jumpers, the graffiti was, as you would expect, rude and homophobic. However, putting these somewhat offensive markings onto a jumper softened them and turned them into art. It also explores the question of ‘what is public art?’ from taking graffiti in the public to then on an outward facing piece of clothing placed on a gallery wall for the general public to see. It is interesting how the messages from the graffiti have been given a whole new context when placed on a jumper. I found the project really inspiring. Another project I really enjoyed was Strindbergin Huoneissa by Marja Pirilä at the Northern Photographic Centre. 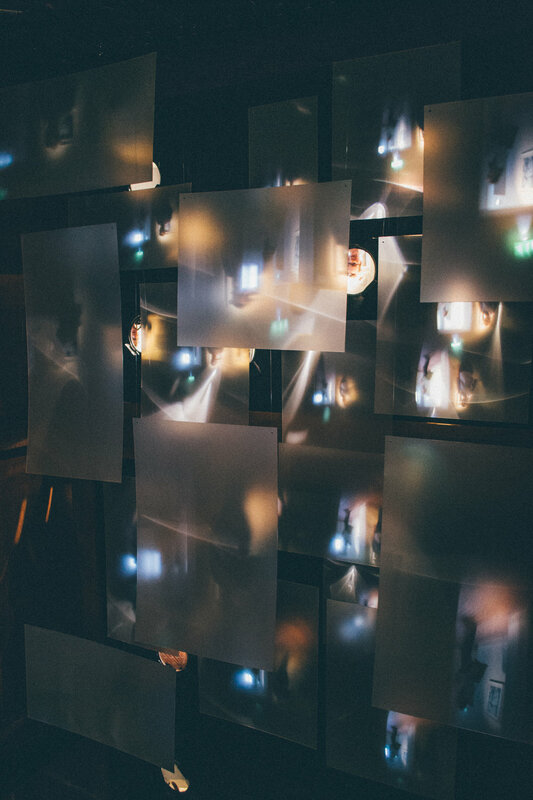 In her project she turned her apartment into a camera obscura (which is when you create an inverted image by light rays passing through a pinhole into a darkened room). She basically lived in darkness for six months with only being able to see outside by the upside-down image projected onto her apartment. The images were beautiful and unique and they really made me think about how I can use alternate process in photography, I already have an idea buzzing around my head for a future project. It was really interesting to visit schools and cathedrals and really understand the affect and importance of public art, I hadn’t thought too much about why we make art public and its uses as I typically create projects for myself rather than for the public. I also enjoyed visiting various working artists studios. It was really eye opening to see these workshops where these artists created their art. Each studio had the artists work plastered on every inch of the wall, they were creating art by being surrounded by their own art, it was such a beautiful thing to experience and made me think about using my own art to act as inspiration for myself. It was also fascinating to see work-in-progress projects in these studios and comparing them to the public art we had seen by the same artist in the museum. It was an intense two days and we visited 14 separate venues so my mind was overloaded with thoughts and inspiration. I now have to write a five page ‘learning journal’ from the experience where I can put more concentration on my feelings throughout the excursion. 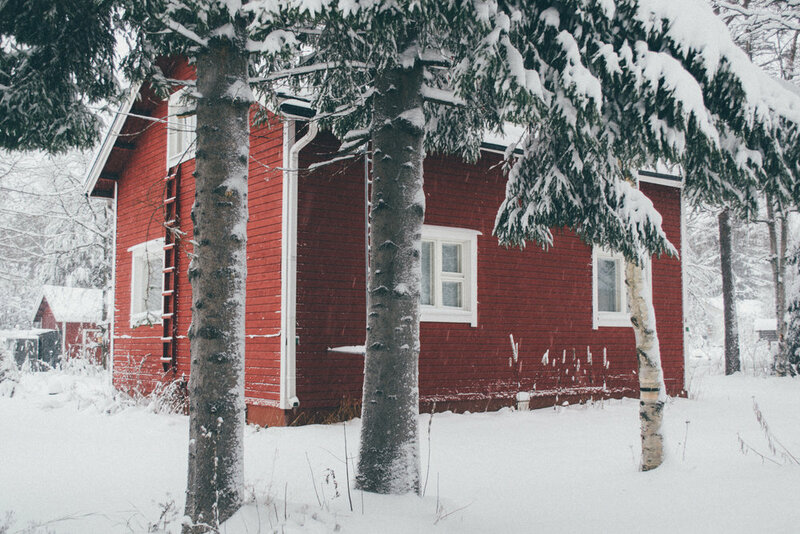 Lapland winters are long, the first snowfall fell in mid October and the snow is far from gone even in April. I have desperately been waiting for spring; it is such a beautiful season in the UK with daffodils popping up in the fields and the sun slightly warming your skin. I craved it. I have been very in tune with the weather in Lapland and there is a change in the air, but I wouldn’t call it spring. I would describe it as slush season. Even though the slush makes cycling and walking anywhere so much harder than before, I welcome it. I really am craving change. The winter was beginning to feel stagnant. I decided I would photograph the process of the snow melting and I began to see beauty in it. I have asked my Finnish classmates what their favorite season was and I was surprised that a lot had answered spring. 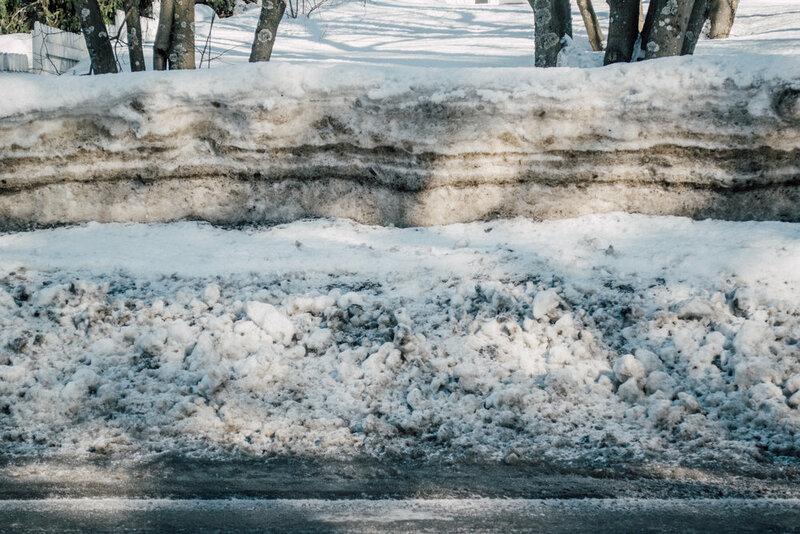 I asked this question back in November so I was really looking forward to spring, but as I ticked March off on my calendar and welcomed in April I was not satisfied with the Lappish spring. However I have began to see its uniqueness to other places during these months and I can start to appreciate the beauty in it. The daylight lasts so much longer now with the sun rising at 6am and setting at 8:30pm. The sun actually warms the skin and I have noticed I no longer need to wear base layers and my down coat. I have been informed that the snow will not completely melt until late May. I’m sure I’ll miss the snow when I’m home in rainy England. Being a British citizen in this day and age I thought it would be near impossible to travel to Russia. Lucky for me ESN Lapland offered us students a visa-free cruise to Saint Petersburg and Tallinn! It was such a rare opportunity that I had to take advantage of the offer. The trip entailed a lot of travelling; including a 14-hour coach drive and an over-night cruise. Long. However it gave us the opportunity to explore Helsinki for a few hours before we had to board the ferry. I tried sushi for the first time (not a Finnish delicacy but it was good all the same). I also was able to see the Helsinki Cathedral, which was a great tourist photo op. My first ferry experience was mixed feelings, we were in small cabins that fit four people with limited floor space but it was cool to see the view of the melting ice on the Baltic sea from our cabin window. Arriving in Saint Petersburg was an ordeal. I was not prepared for boarder control in Russia; we were crammed in a room, tired and desperate to make it to the other side to begin exploring the city. We were in the ‘queue’ for nearly four hours, (I am using ‘queue’ in the loosest sense of the word – oh how I miss Britain’s queuing etiquette). When we all finally made it to the other side of the boarder we had a bus tour straight away, I was immediately stunned by how gorgeous Saint Petersburg was. I didn’t know what to expect but I didn’t expect it to be so beautiful. On the bus tour we learnt a lot about the history of the city and Tsar Peter the Great himself. We made a few stops on the way to take photos of the historical buildings and areas including the Peter and Paul Fortress. In the evening I went to a traditional Russian dinner that I had signed up for prior to the trip. The Russian dinner was a really fun experience; I tried traditional Russian cuisine and was treated to Russian entertainment (singing and games). I also have to mention vodka, it was a primary topic and everyone at the dinner was given two rather large Russian vodka shots. Following the meal we went to a famous Russian nightclub called Rossi, I was also surprised when I turned my head in the club to see strippers on dance poles. Safe to say I was no longer in reserved Finland. The rest of the trip I explored the city with Lucy and Charlotte as well as other exchange students on the trip, it was nice to make more friends and we all took advantage of the cheap prices of the restaurants and bars. The three days we had in Russia was filled with Palaces, Museums, Cathedrals and Churches. The architecture was stunning; I don’t believe my photos give the place justice. I would love to return and explore more; it is such a big and historically rich city. As part of our cruise we sailed to Tallinn in Estonia for the day, I had paid for a tour of the old town in Tallinn, which again was interesting. The town was very different to St Petersburg so it was nice to have a change. It was also lovely to meet up with an old friend; Silver who graduated from Coventry University last year in Photography was born and lived in Tallinn. He showed myself, Lucy and Charlotte a different part of the city, which was a really nice experience. We visited a contemporary art museum and other places. It is crazy to think that the people you meet at University can affect your life in the future. If I had never met Silver then I would never have explored a different part to the city, it is important to keep in touch with students/friends from all over the world. I have made plans to meet up with him again in Tallinn in the future. Since my home has been in Finland for the past seven months it was inevitable that my new environment would seep into my artwork. 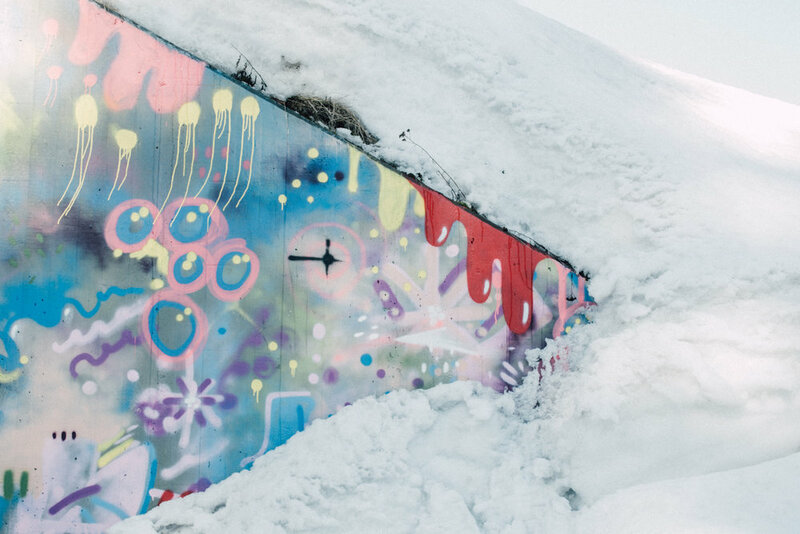 My imagery tends to focus on my personal relationship with my surroundings so it was only a matter of time before I began to respond to my life in Rovaniemi through my art. For my class Indefoto I have decided to try an alternate photography process called Cyanotype. I briefly touched on this process once in my home University but I wanted to learn about it in a lot more detail at the University of Lapland. There is a great teacher at the Uni called Tom who knows everything to do with alternate photography processes. I have been meeting up with him to improve my cyanotype prints and learning more about the science and technique behind it. 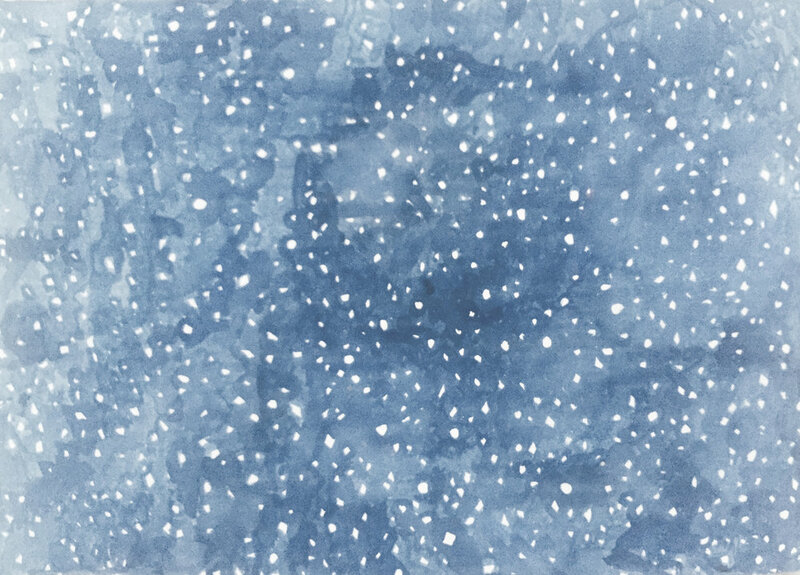 I chose to create cyanotypes from the images I created in my Ephemeral photobook from last semester, which comments on the temporary state of ice and snow in the Finnish landscape. I thought the deep blue of the cyanotype print reflected the colour of the environment and helped further the narrative. 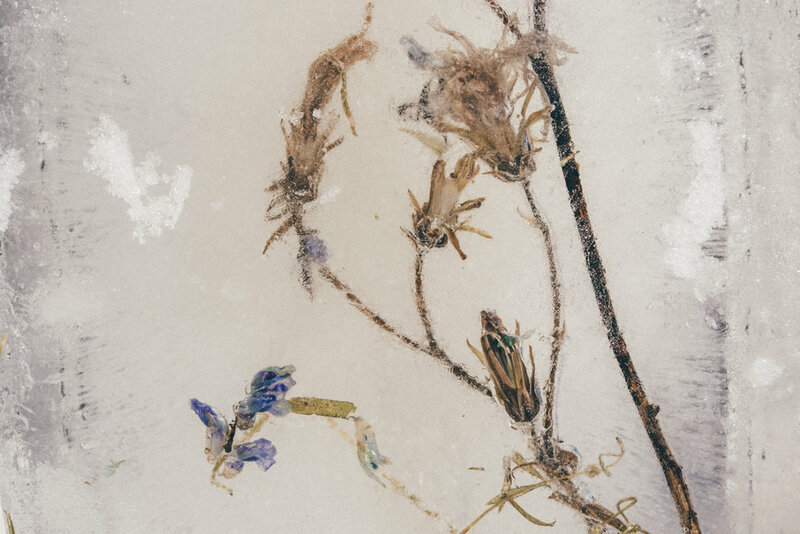 As well as documenting the weather and nature of Finland, in my other class, Art Practice in Context, I have been exploring my feelings towards my new home, portraying them through different photography techniques and using ice and nature as a primary material. 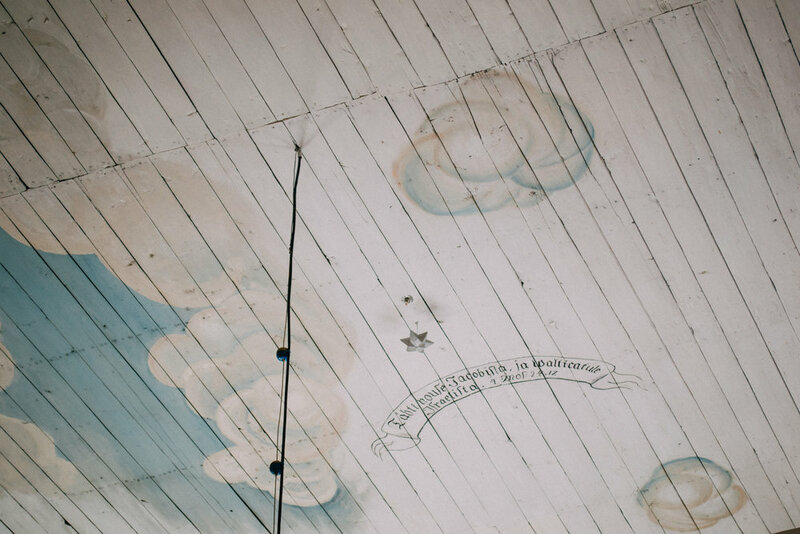 Making art while living in an arctic environment has influenced me to engage with my temporary home in an intimate and thoughtful way. The art I have made this year I would never have created if I still lived in England; from moving away I have learnt more about my photographic practice and myself. I am thoroughly enjoying the work I am producing. 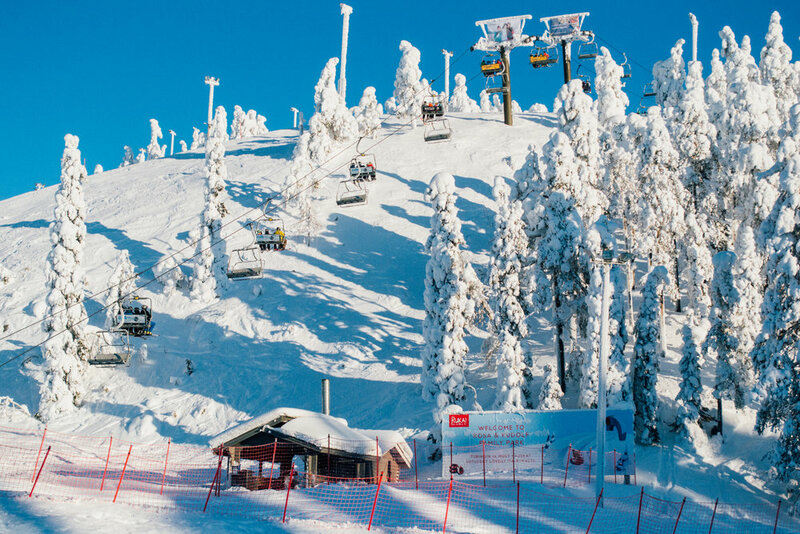 In Finland there is a winter holiday called ‘Ski Week’ where all schools are closed and many flee to the slopes to spend the week enduring winter activities. Of course, skiing is not required during ski week. My boyfriend (Lewis) had booked to spend the week with me in Rovaniemi; my 23rd birthday also fell during this time so it was a great excuse to make the most of this time off from Uni. As previously stated in my blog, Finland is not the cheapest place to live. I had warned Lewis at my lack of funds to take part in any Safartica trips (they offer over-priced activities such as husky rides and snowmobiling). 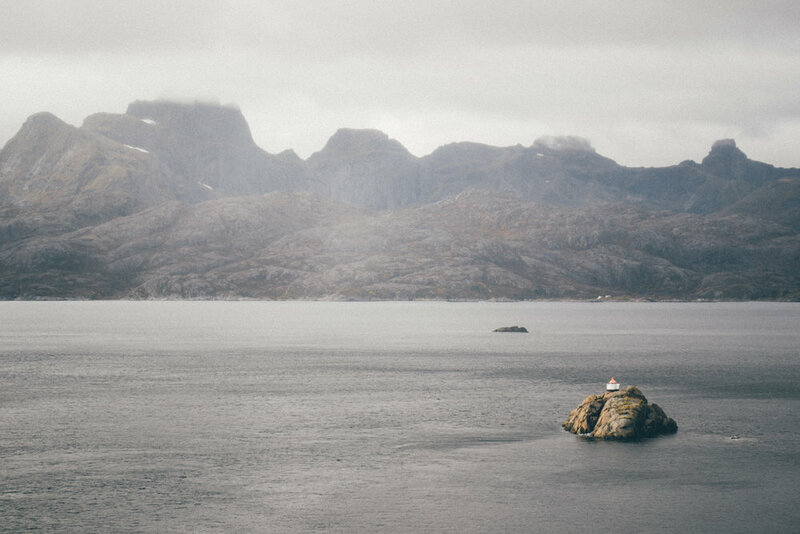 He had already informed me that he was coming so he could see me, and didn’t mind about not having other plans, but I wanted to show him a glimpse of life in the arctic. Luckily, a guy who used to be an exchange student was running trips for Kuntotie residents during the holidays so I quickly snapped myself and Lewis a place on a snowshoeing trip that was only 50€ each - a good deal by Finland’s standards. After Lewis’ 16 hours of travelling to Rovaniemi from the UK, we decided to have a relaxed first day; so I took him on a winter walk to Ounasvaara. I had visited Ounasvaara many times during my first months of living here; it was a great forest to explore that had fire pits and a watchtower. However, I hadn’t visited since the heavy snowfall, making it difficult to navigate the ‘snow path’ to the watchtower. It was very humorous trying to walk up a forest in 80cm deep snow without snowshoes, every so often we would fall hip-deep into snow – at least it was a true representation of Lapland life. When we finally reached the watchtower, Lewis was not disappointed with the view of Rovaniemi and the snowy forest. The next day we were ready to leave Kuntotie at 9am for our snowshoeing trip! We travelled with Karol who was leading the trip and two other exchange students also joined us so it was a nice group to spend the day with. We drove for two hours to Pyhä-Luosto National Park and began our climb to the top of the fell in snowshoes. We were all so shocked out how difficult it was to climb in snowshoes! It takes a lot of strength and energy; we had to climb an almost-vertical hill. It took me around 30 minutes to get to the top, which I was very embarrassed about as Lewis and Karol were staring at me from the top after they climbed it in a swift few minutes. The view from the top was absolutely breathtaking. The trees were buried in snow and I felt like I was truly in the arctic. The climb down was as graceful as the climb up - meaning everyone was on their backs a lot of the time. When we got to the bottom we walked to a fire pit in the forest and grilled sausages and corn to regain strength for the short walk back to the car. It was an incredible and exhausting experience but I’m glad I had the opportunity, especially while Lewis was visiting. 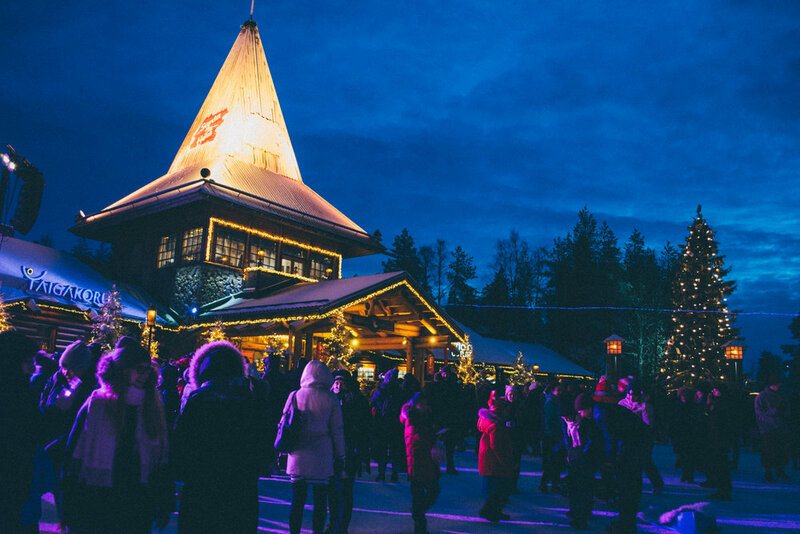 The rest of the week I spent being a tour guide for Lewis, showing him Rovaniemi town and the infamous Santa Claus Village. The weekend was spent celebrating my birthday, I took him to a Finnish nightclub called Half Moon, there was a concert going on while we were there so he experienced true Finnish pop music (not my favorite, unfortunately). The week went by in a flash and before we had chance to catch our breath Lewis was already catching a taxi to the airport. It was great to be reunited for a week; it also marked the halfway point of my second semester, meaning I’d be home in 10 weeks! 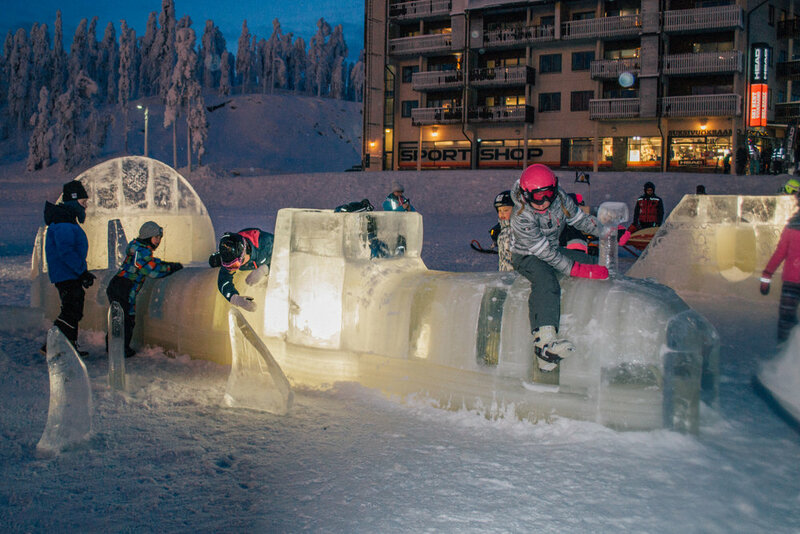 One of the great things about studying at the University of Lapland is that they offer workshops in Ice Sculpting. This was one module I was really excited to take, obviously the workshop is really popular; where else offers Ice Sculpting workshops?! I signed up as soon as the course went live to secure my place! 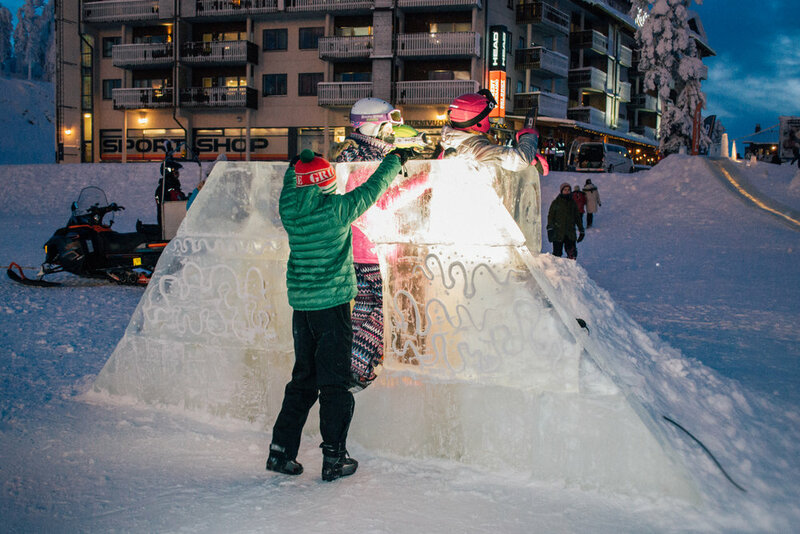 There was one scheduled design workshop before the 4-day ice-sculpting workshop at Ruka Ski Resort! In the design workshop I was informed that we would be designing and creating an ice play area on a frozen lake at the resort – it sounded so fun! We were introduced to the equipment we would be using the following week, as well as watching videos of previous ice sculpted projects, I was very inspired and felt a little daunted. The class was split into three groups to design our play area. I began designing something where the children could climb up and then into a cave area. 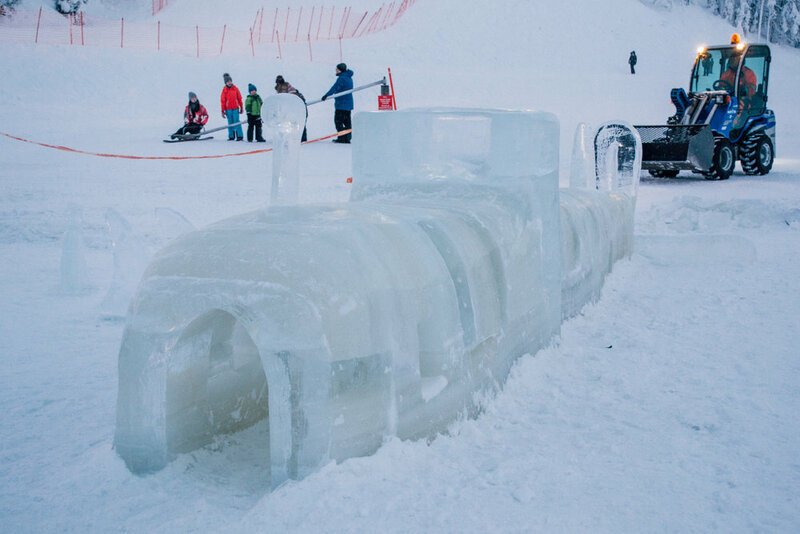 My design was chosen to be constructed at the resort, as well as a slide and a submarine that was designed by other students. 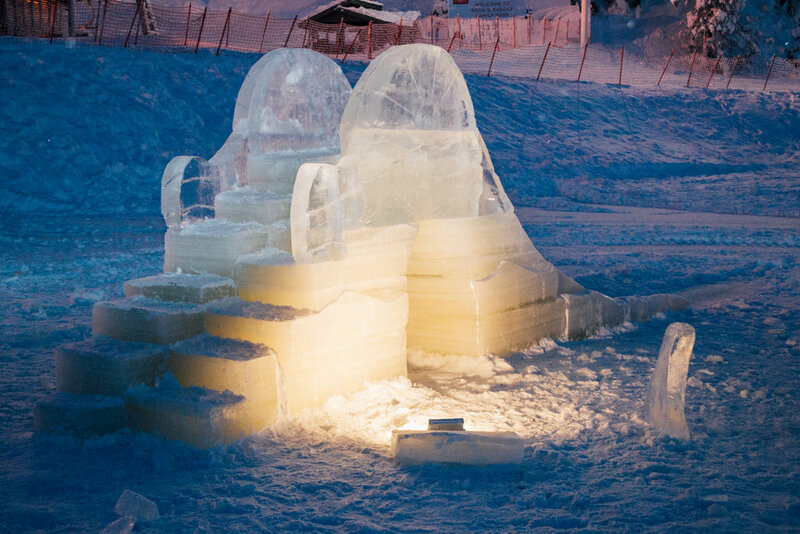 It was exciting to know that something I designed would become real, and completely made from ice! On a cold (-22 degree) Monday morning we were up early ready to take the mini bus to the ski resort, it was about two hours north from Rovaniemi. The further north we travelled, the more snow that stuck to the trees. It was beautiful. When we arrived I was in awe with the view, the resort was quite high up meaning you could see all the trees below, it was a refreshing change of scenery from Rovaniemi. We all quickly unpacked in our shared apartments where I had the opportunity to spend time with classmates who I had not met before. We were also excited with our own sauna in our apartment. It was no surprise that every apartment had it’s own sauna, it is Finland at the end of the day. The group met back up for complimentary lunch and then we were off to the frozen lake where we would plan out our sculptures. 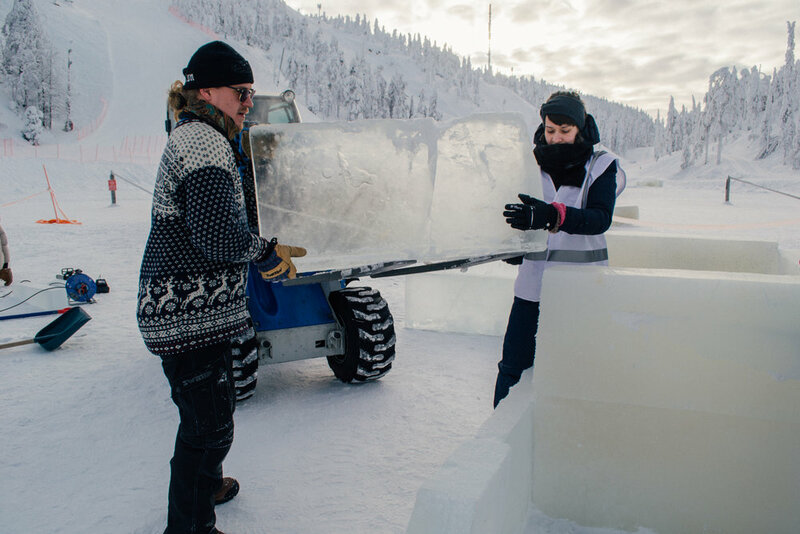 The first day was surreal, we gaged where we would create each piece, and had the forklift place quite a few ice blocks in the areas. Most of us were stood around shy and hesitant about where to start, as none of us had ever ice sculpted before. Our teacher Antti and his helper Vertti kind of left us to it. That evening we relaxed and bonded in the sauna with gossip, it was nice to make friends with students who arrived this semester. The following days everyone seemed to have picked up the ice sculpting technique after being briefly instructed on how to use the equipment on the second day. 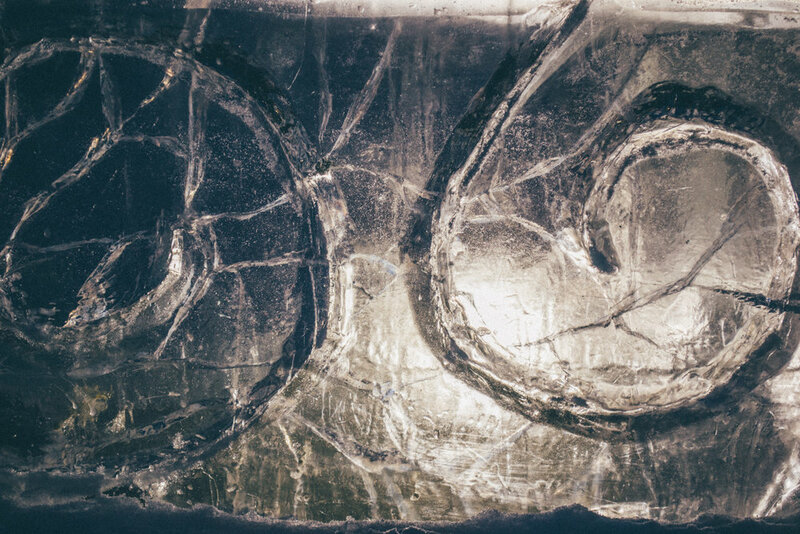 Before I knew it I was chain-sawing ice blocks in half to make stairs, chiseling ice to create shapes in the ice walls and using a special ice sculpting drill to create intricate patterns in the ice. I thoroughly enjoyed myself and was proud that I got over my initial fear and really got stuck in into the construction process. I learnt a lot about working with ice and how water is used as glue, it was so interesting. As we were working at a ski resort we were allowed to rent ski and snowboarding gear for free. I had never attempted snow sports before so I really wanted to try it out. I chose to ski, thinking it would be easier as I had two sticks to support myself, but I was wrong. It was very difficult but thankfully Antti offered to help me out. I hope to practice more at the ski resort near my student accommodation, who knows, it could become a new hobby. The final day was a rush to finish all three sculptures, everyone was working together to make sure everything was sorted, and the families surrounding the lake were itching to be allowed into our ice play area. When the red tape was lifted at 5pm on Thursday all the children ran and started playing on our sculptures straight away. It was so satisfying to get an instant positive reaction. I can say that this workshop is probably one of my favorite experiences from Erasmus so far. I enjoyed making new friends and learning new skills. Now I can say I have ice sculpted in Lapland which sounds pretty cool if I do say so myself. January was over, it was a long month and I celebrated February arriving. With February came the arctic weather. 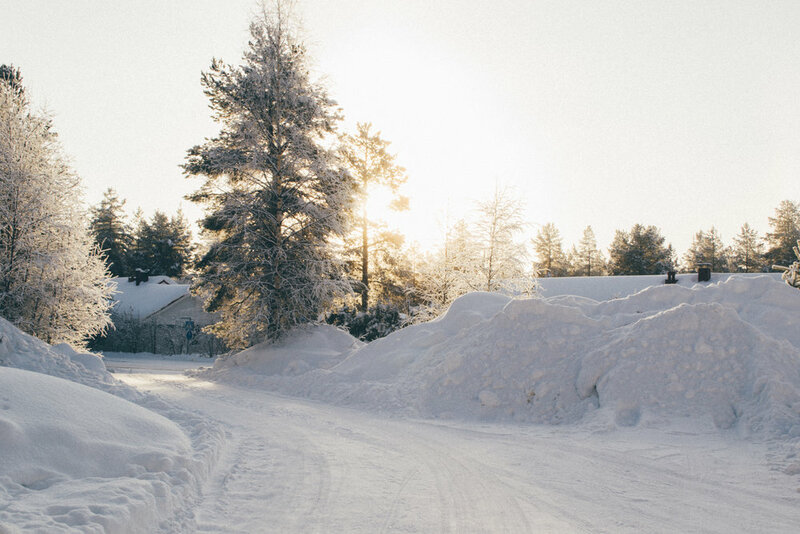 I had experienced a lot of cold weather since living in Rovaniemi, and as stated in my previous posts, the cold wasn’t a big deal. These past couple days I have been experiencing -20 (and lower) degrees temperatures. Usually there will be the odd day around -18 and then drop back down to say -8 etc. However, the temperature has not let up. The weather has also been truly beautiful. Clear blue sunny skies, if it weren’t for the snow (and cold) it could pass as a summer’s day. I have really enjoyed this ‘true arctic weather’. It is beautiful; everything is so crisp. When I am asked about the cold, the only way I can describe it is that I am living in a massive freezer. There’s no wind, it’s just this frozen air. Travelling to the University and the town center has proved quite a challenge these past couple of days. I can't believe now that my new normal is walking 30 minutes into the centre in -22 degrees for a Mcdonalds (Rovaniemi has no takeaways). I am used to my face and such freezing, but everything is more excessive. Cycling has been difficult; every breath I feel like I am gasping for oxygen, even on flat paths my legs can’t seem to peddle fast enough. When I arrive at University I have to defrost my eyelashes as balls of ice have accumulated on them (frozen breath, nice). I have to defrost my scarf and detach my frozen hair from my scarf. It’s a whole ordeal. When I’m in the cloakroom stripping off all my extra layers I see other students covered in white needing to defrost. If I didn’t live in Lapland I’m sure it would be a much funnier sight. So yes, travelling anywhere in arctic temperatures takes a whole lot of energy and effort. Try doing photography in arctic temperatures. I have been taking images throughout this frozen weekend but it has come at a price; that price being my fingers. I can’t say my camera is too happy about being out in -22 either. I can’t wear my mittens when operating my camera so I have to settle for my ski gloves, and yet my fingers are still in excruciating pain. However, I have had a strong urge to photograph this weather. Walking across the candlestick bridge to town has revealed some gorgeous sights. With these colder temperatures there seems to be mist rising from the un-frozen part of Kemijoki River. It is fascinating to see, and yet with my frozen exterior I still feel lucky to live here. After three weeks back in England for Christmas it would be safe to say that I was already used to the easy life of living back home. I loved the free food, the lack of responsibility, and the above-freezing temperatures. It was just a relaxing time. Although in the beginning I found it challenging living in a very busy, messy household again as I was used to living with just one person in a very quiet flat. I was hesitant with moving back to Lapland, I missed the snow, but I felt that three weeks just was not long enough. I wanted to spend more time with Lewis and my friends. The three weeks were filled with plans; trying to cram everything in before I flew back. Returning back to Lapland was easy. It was like I never left. It felt strange because it felt so normal. A lot of snow had fallen while I was gone, I couldn’t believe quite how much. 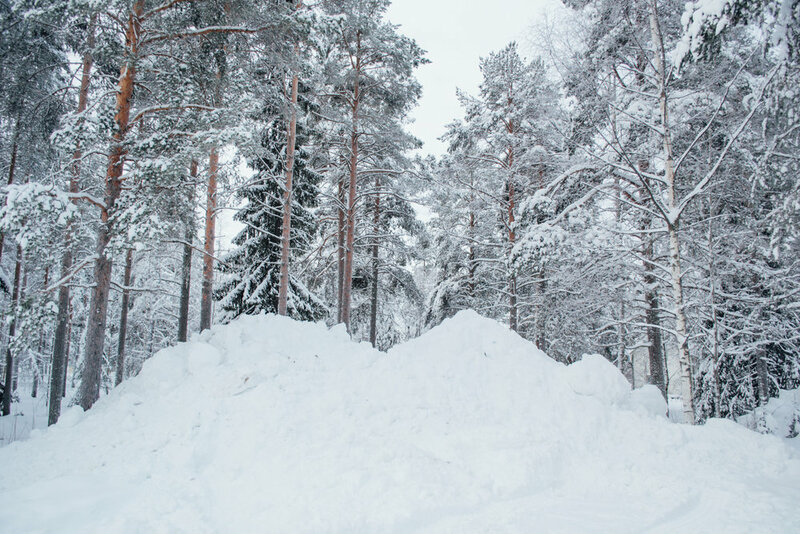 Apparently this is the most snowfall Rovaniemi had seen in 30 years. Climate change? 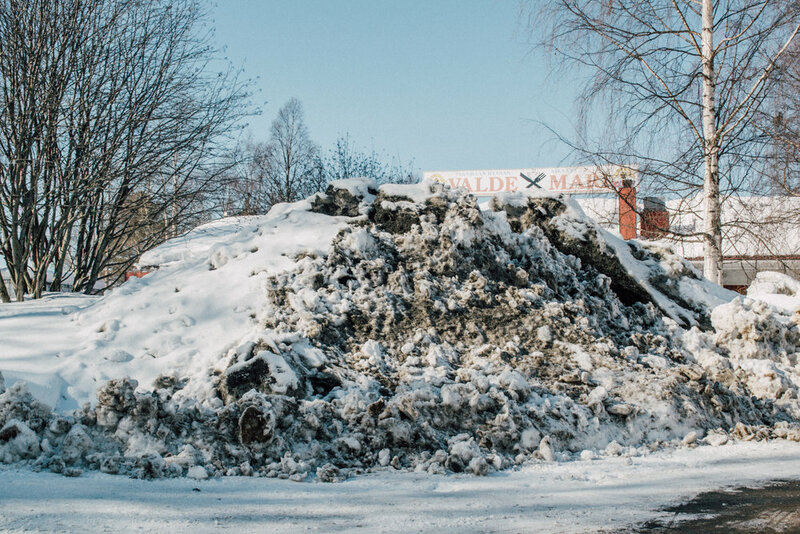 I also found out that it costs the city a whole lot of euros to transfer the snow to other areas. My Lapland routine fell back in place without me realising. I was wearing all my layers again to walk to the shops to stock up on vegetables for the dinners we would have to make during the week. I was organising my timetable for the new modules I would be taking this semester. I was booking the washing machines and dryer etc. Everything just fell back into this routine we had made in the previous months. It was kind of frustrating; like a same-old-same-old kind of feeling. I didn’t want to feel ungrateful as I am living in one of the most beautiful places and it is basically a once-in-a-lifetime opportunity. I just couldn’t shake the feeling of ‘five months is a long time’. I do believe this feeling will go away when I start back at the University and begin to make new friends. Another thing I noticed when I woke up on my first morning back in Lapland was how light it was compared to December, there was actual blue skies and could see the sun! Yesterday the sun rose at 10:37am and set at 2:11pm. So already a big difference from just before I left in December. 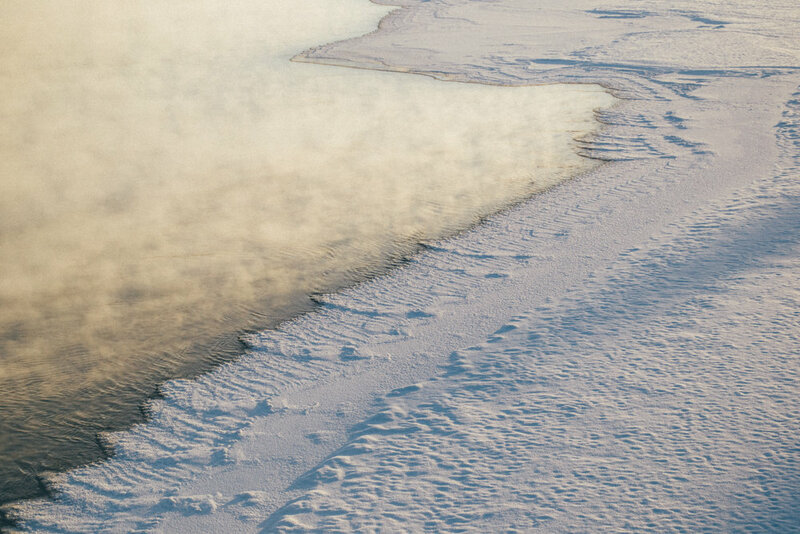 Here are some images of my first proper day back in Lapland. So much snow! I had missed these views. 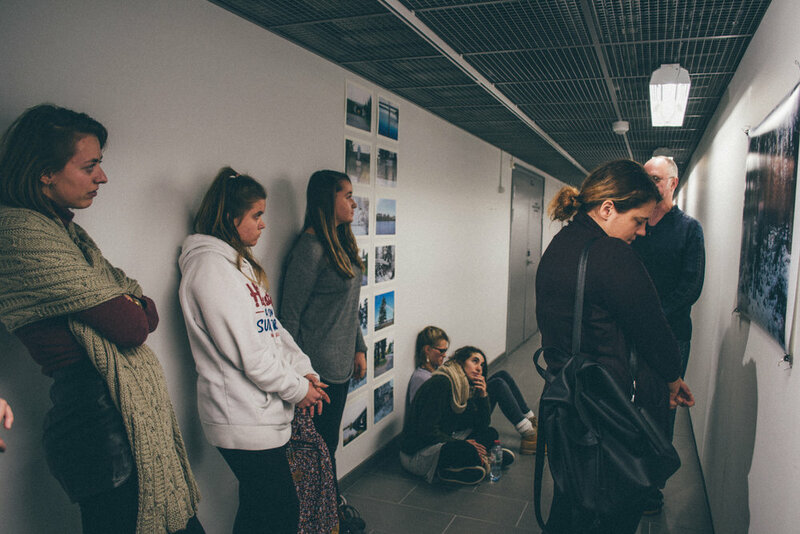 To wrap up the last semester I had an exhibition for my modules Adaptation Charting and Independent Photography Seminar and a critique for the photobooks we created from the Raattama excursion back in August. I had a lot of fun creating work for all of these modules, I took myself out of my comfort zone and created a watercolour book for Adaptation Charting, where I painted a page a day in an abstract manner to express my feelings depending on how the weather/university/food/social aspects of the day had affected me. 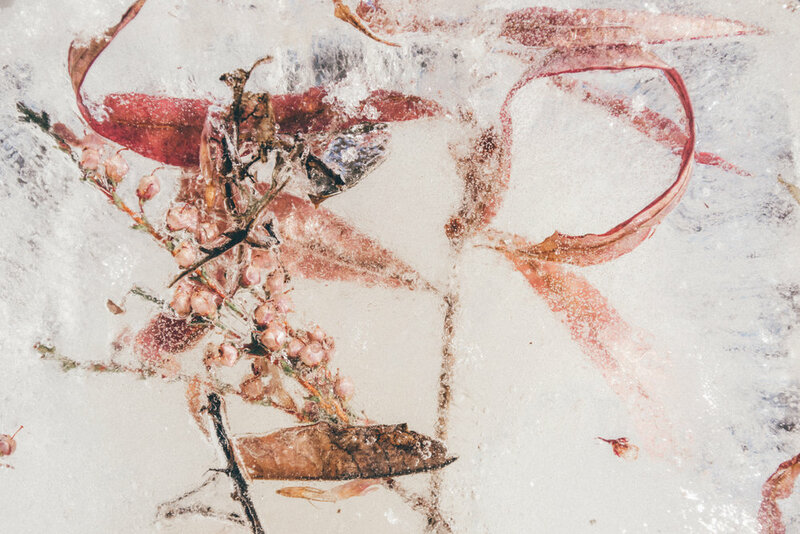 For Independent Photography Seminar I created a photobook called Ephemeral, containing images I had taken of ice and snow, looking at the intricate details of these materials that would eventually disappear. I was very proud of my images and would have never got the chance to create something like that back in England. I have made future plans to work with the images more. The book I created for Fine Art Excursion called Keep Your Ear to the Ground looked into the natural landscape and earth of Raattama. We had a group discussion and critique of everyone’s photobooks from the excursion. It was amazing to see how everyone had interpreted the trip, although we were all in the same place all week everyone’s books were different and we were all surprised and fascinated with the images people had taken. The conversations were thought provoking and helpful. The exhibition was a stressful thing to plan and curate as a class, as it was spontaneous, which did not leave much time for organisation. Regardless, it came together in the end and it was great to see all the work produced through the semester and actually seeing it printed on the wall. It was a long day critiquing all the work and conversations revolving around adapting to life in Lapland and how it influenced our artwork for both Adaptation Charting and Independent photography Seminar. I haven’t written much about the people I have met while on Erasmus, but I did make some close friends in my time here. My closest friends would be Eilidh and Louisa (who I went to Norway with). They were the hardest goodbyes. We did a lot together and it was so interesting to hear about their lives back home (in Germany and Scotland). We have planned to meet up in the future so hopefully a trip to the Alps in Germany is on the cards! Lapland won’t be the same without them next semester. I also became friends with a lot of other Erasmus students and we often made good out of a bad situation. The bad situation being the Kuntotie flats were cramped for social occasions however a host would always cleverly come up with a system to accommodate for all guests, as well as providing food. We had an ‘international dinner’ hosted by Eilidh to celebrate St. Andrews (a Scottish holiday). She made haggis and other traditional Scottish foods and everyone who came had to bring food from their home country. Myself, Lucy and Charlotte made bangers and mash (of course) and sticky toffee pudding. Apologies if these aren’t traditional English meals. It was a great night and it was just something I would never usually take part in if it weren’t for Erasmus bringing cultures together. There were other fun plans made towards the end of semester one as most students were going home for good at Christmas. Meaning myself, Lucy and Charlotte would need to make new friends all over again in January. I’m grateful for the people I have met and stories I heard and I believe it won’t be goodbye forever to some of the people I met here. 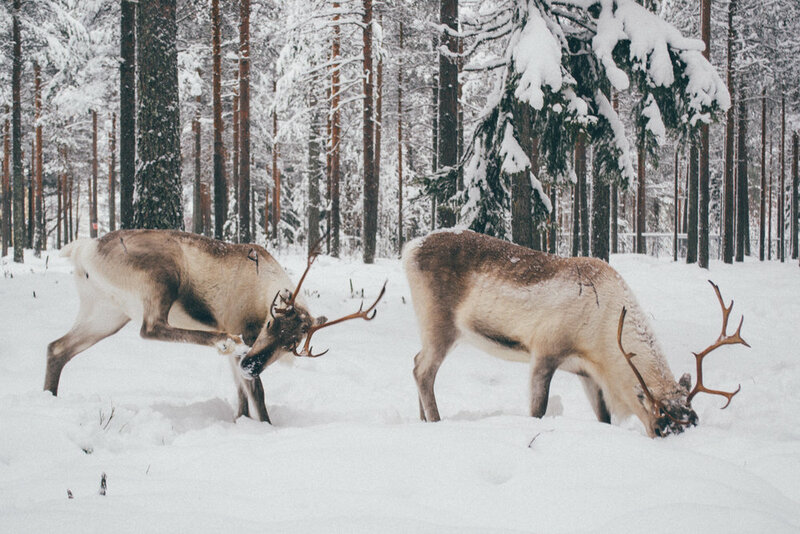 Life in Lapland is cold, snowy, and filled with reindeer and Christmas decorations. Exactly what you would expect from ‘The Official Home of Santa Claus’. I have taken a trip to the Santa Claus Village to cross the Arctic Circle line and meet the real Santa (back in October as he is around all year except Dec 25th obviously). That is probably the most tourist-y thing I have done since being here. Oh and attending the ‘Official opening of Christmas season’ announced by Santa himself. It’s got to be done if you live in Lapland. Other than that I have just been in awe of the winter wonderland that surrounds me. 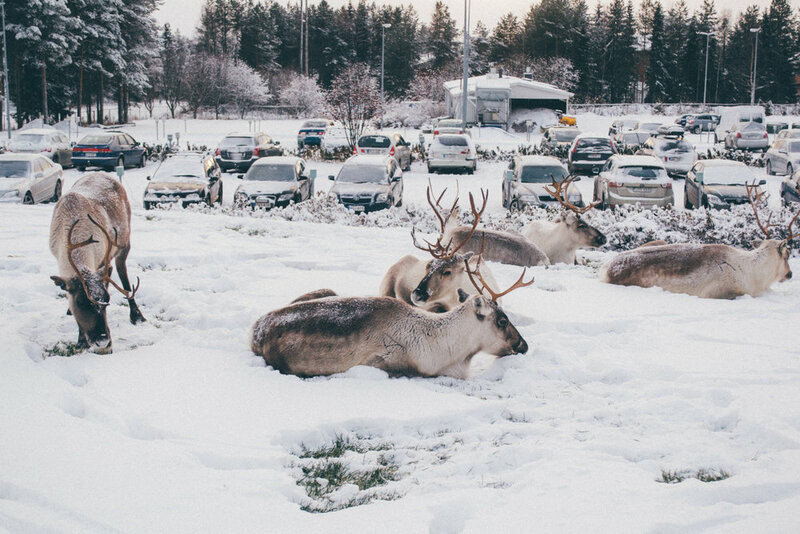 It’s not unusual to walk to the supermarket and have reindeer sleeping in the car park. It surprised me how they are not threatened by human presence although all of them will be killed for meat and other things (this upsets me a lot as I am vegetarian). The cold here is not as hard as I thought it would be to deal with. I was prepared and bought the appropriate clothing before moving (base layers, down coat, snow boots etc.) so the cold was something I did not notice that much. It is a lot of effort to leave the flat every day, taking at least five minutes to wrap up, and then you end up sweating before you have even left the flat. Interesting fact; if it is -8 degrees or lower, your hair, nose hairs, eyelashes all freeze from your breath. Nice. One thing that is definitely proving a challenge is the lack of light. At the moment the sun rises at 9:42am and sets at 2:23pm. Travelling to University in the dark and returning in the dark does begin to feel depressing and tiring. I have been taking my vitamin D tablets for 2 months now. 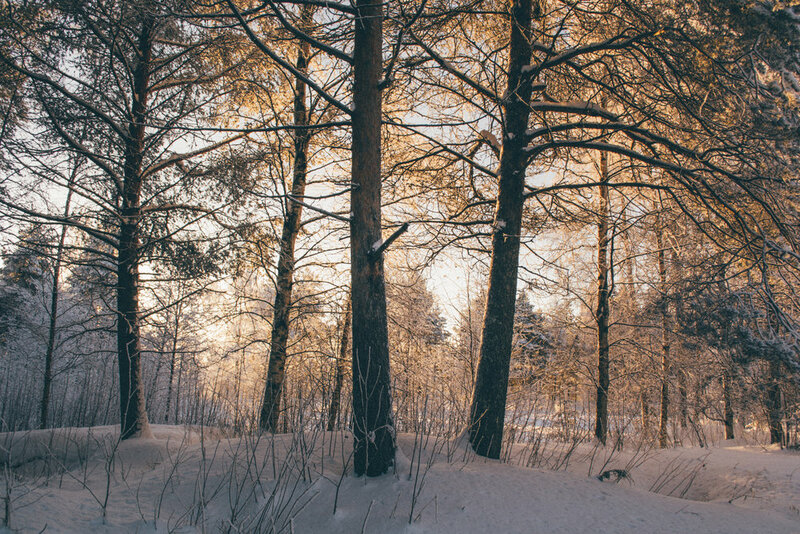 In December the sun will rise at 11:01am and set at 1:23pm. Two and a half hours of daylight. Help. 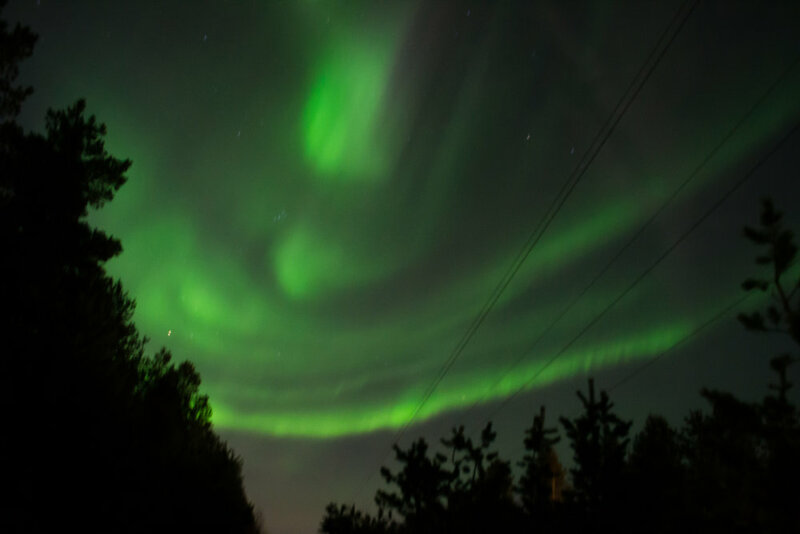 One of the most sought-after sights that people dream of is seeing the Northern lights, which I have seen 5 times maybe. They are beautiful. They dance and move so quickly creating ephemeral shapes and changing colours from green to pink. If you see pink and purples flickers it means the aurora is strong. I have tried to photograph them but it is very hard without a tripod. I will definitely be bringing mine back from England when I go home for Christmas. I feel very lucky that I can say I live in Lapland. It’s not every day you run into reindeer, see the Northern lights and watch people skiing to work (well here it is). As well as being on Erasmus in Lapland with Lucy and Charlotte, we also have other friends on Erasmus in different countries such as Spain, Sweden, Holland, Germany and Italy. Initially we had planned to visit each other quite often, until we realised how expensive it is to fly from Rovaniemi. On top of it being ridiculously expensive, you can never find direct flights from Rovaniemi and always have to fly to Helsinki first. It makes travelling a lot more difficult that we originally envisioned. Travelling to see our friends in Milan was a no go. However, two of our friends in Milan decided to go to Kraków in Poland for the weekend, we checked flights and it was definitely cheaper than flying to Italy (still expensive). BUT we’d have to catch 3 flights there and back with a 12-hour stop over in Helsinki. Seriously, it is hard to travel to/from Rovaniemi. It’s one of the downfalls of living in the Arctic Circle. So even with the 6-flights-in-3-days issue we decided we wanted to travel more and see our friends! I also decided to invite my boyfriend back in England to join us as I missed him and we had never done the long distance thing before. We were up early at 3am ready to catch our 5:40am flight to Helsinki, then a 12-hour stop there. We had planned to explore Helsinki while we were there, but we were so drained from being up early and traveling that we ended up sleeping in a vintage café while it was raining profusely outside. Then it was time to catch our second flight to Munich where I was reunited with Lewis (the boyfriend), which was nice. Then the four of us were on our final flight to Kraków. We arrived late but it was great to have a quick catch up with Danny and Liam in our charming air bnb. We soon went to sleep as we were up early the next day. The first day of our weekend we had booked a trip to the Auschwitz concentration camp followed by Schindler’s factory museum. It was a hard day and I’m not sure what to say about it other than that I’m glad I went and educated myself more. That evening we went out for food and us Lapland lot were DELIGHTED with how cheap and tasty the food was. It’s the small things we appreciate now since living in Finland. We had a few cocktails and went into the town to check out the bars and clubs, it was a funny night and it was really good to spend some time with our familiar friends. Our last day (why did the weekend go so fast) was spent in the city center, enjoying all that it had to offer, like the tasty pancakes and gorgeous architecture. We visited a couple of cathedrals and churches and did some exploring and shopping. It was a pleasant day with strange weather, one minute it was sunny and warm, the next it began snowing. I guess it followed us from Lapland. In the evening we had a lovely last meal and had a few drinks in an old bar that was only lit by candlelight, it was cool. I really wish we could have stayed longer, but even with the 6-flights-in-3-days scenario it was still worth it. It was bittersweet seeing Lewis as well as I knew I wouldn’t see him again until I was home for Christmas. The morning light lit up my curtains and stirred me awake. I heard some fumbling in the kitchen – presumably Charlotte. Then it hit me, the white curtains, the noise of our balcony door opening… IT MUST HAVE SNOWED. I jumped out of bed and pulled my curtains open and was faced with a white blanket of snow that covered everything! I ran to the balcony to meet with Charlotte who was just as excited as I was. 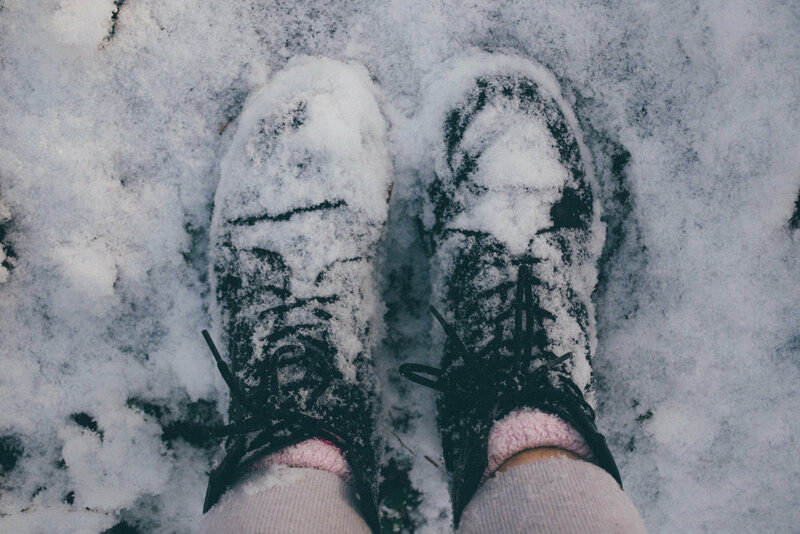 In the five minutes that followed we had grabbed our cameras, thrown on our snow boots for the first time and our down coats, and we were outside our Kuntotie block ready to take in the first snowfall (yes we were still in our pj’s). There were other excited Kuntotie residents outside taking photos and walks in the snow. The sky was bright blue and sunny, everyone was just so happy to be experiencing it. We couldn’t believe the first snow arrived in October but I had been waiting for this day all month. 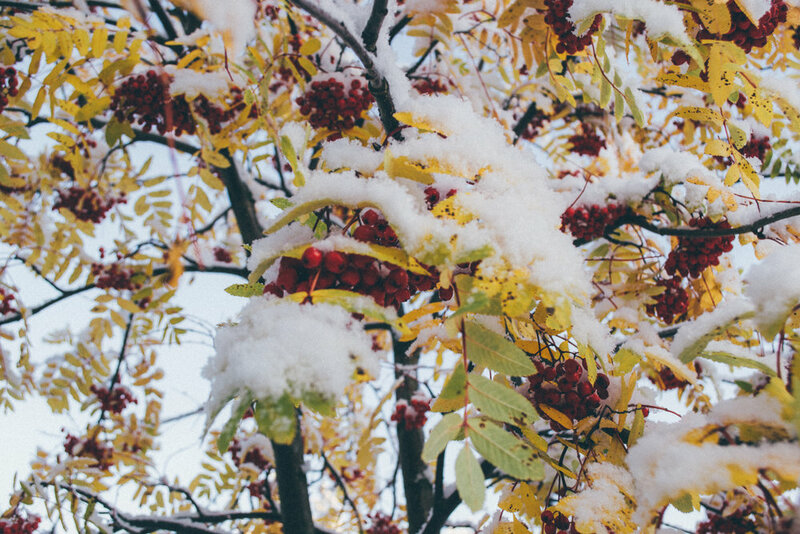 The first snow is even marked as one of the seasons in Rovaniemi – arriving between the 15th of October to the 15th of November and it marks the beginning of the long winter ahead. I found this day magical and poignant and I was so glad I didn’t miss it! My group of friends that we formed during the excursion collectively decided that we needed another adventure, Lapland is beautiful and everything but we craved something different. 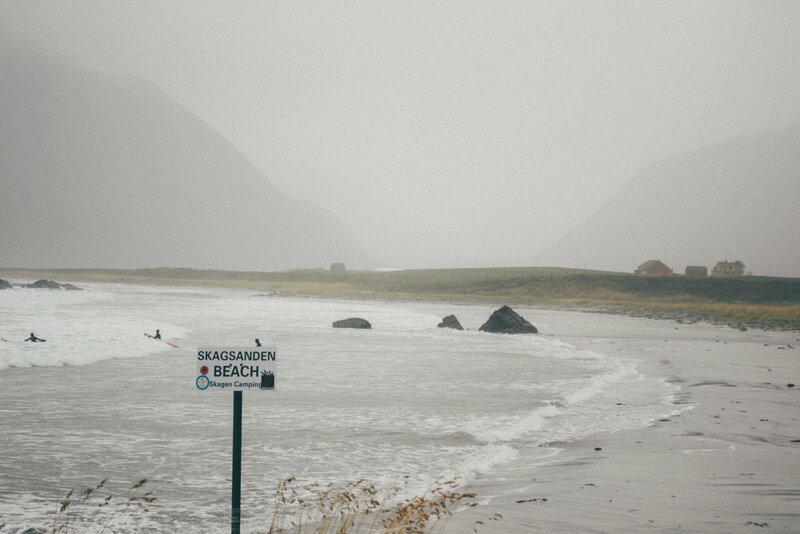 We had heard from other exchange students that Lofoten in Norway is the place to go. 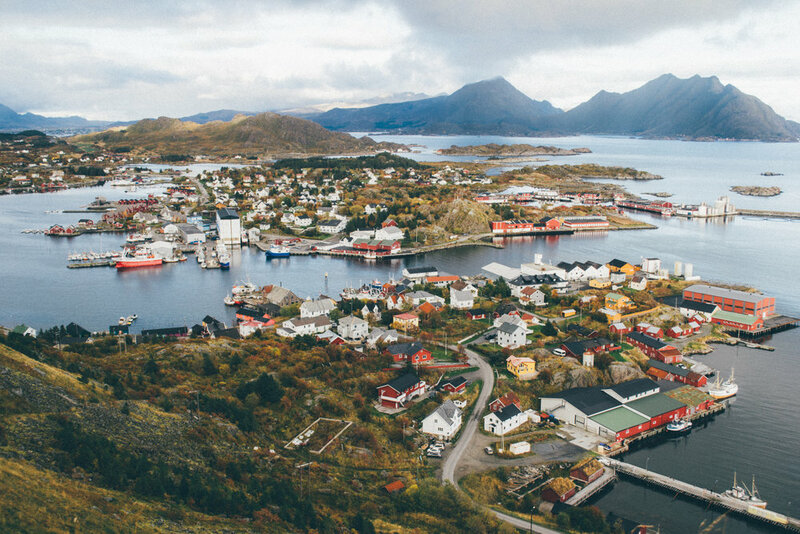 After some quick research and a spontaneous afternoon we had booked a lodge in a quaint little fishing village called Ballstad, and we had rented a car. 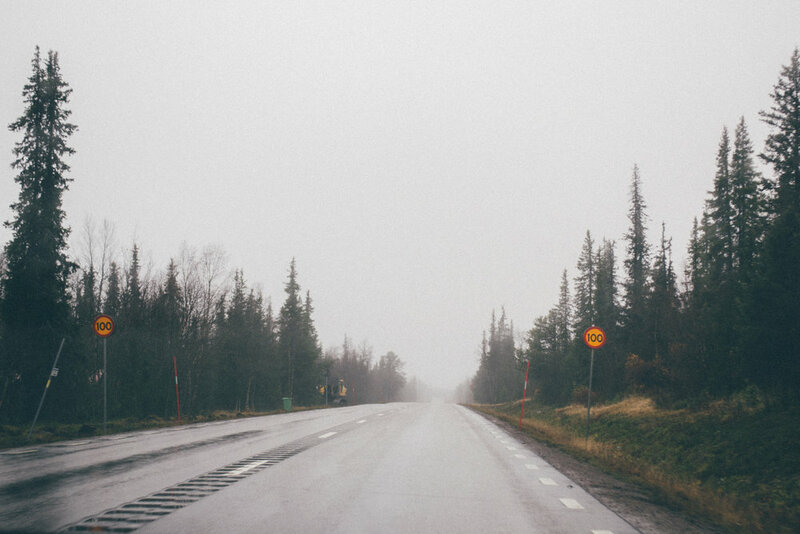 So on the 5th of October we were off on our 14-hour car journey, driving through Finland-Sweden-Norway. As you would expect the views from the car journey were gorgeous, to the subtle landscapes of Sweden to the mountains on the outskirts of Norway. We arrived quite late to our lodge and I had to quickly run inside to vomit, as someone who suffers with travel sickness I would have expected nothing less from a 14-hour car journey. I had to sleep straight away because I felt too ill, however when I woke up the next morning the view from our lodge made the trip worth it. 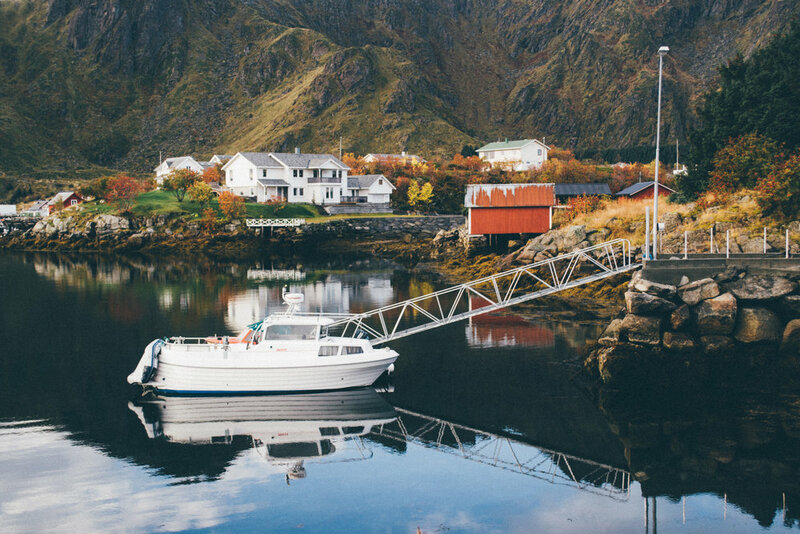 As we arrived in darkness the night before we couldn’t believe what was outside our windows when we woke up, we were surrounded by water, colourful houses, mountains and fishing boats – picturesque! As we could only afford two days to actually explore the area we wanted to cram as much in the days as possible, easier said than done. We decided to start the morning off by hiking one of the trails that was pointed out to us by our host, followed by an afternoon of exploring Ballstad around our lodge. However, the weather turned foggy and rainy making the trail slippy, and we couldn’t see anything! It was a shame, at least we reached the top but we had to turn back and dry ourselves (and our cameras) in the car. From hiking in the awful weather we were all knackered and had to return to the lodge for a nap/chill out. We stayed indoors waiting for the rain to pass before we ventured out in the evening to explore the area. We got some great images in the twilight so I guess it was a blessing in disguise that our plans were slightly postponed! The next day we had beautiful sunny weather! We decided to do another hike (but properly this time). We hiked for five hours! FIVE, and that was taking the quicker route. It was a hard hike, we lost our way so we ended up climbing massive stones, I was quite proud of us and I hoped I had a chiseled body after all the exercise (wishful thinking). The view from the top was actually ridiculously beautiful; I couldn’t believe how high we were. We could see the whole of Ballstad and the surrounding mountains! Returning to the car we were on a high of what we just accomplished but we were worried that it took longer than expected and we still wanted to explore Reine (as we were told it was gorgeous) which was an hour’s drive away from our location. We decided we just had to see this place before we got an early night before the drive home the next morning. 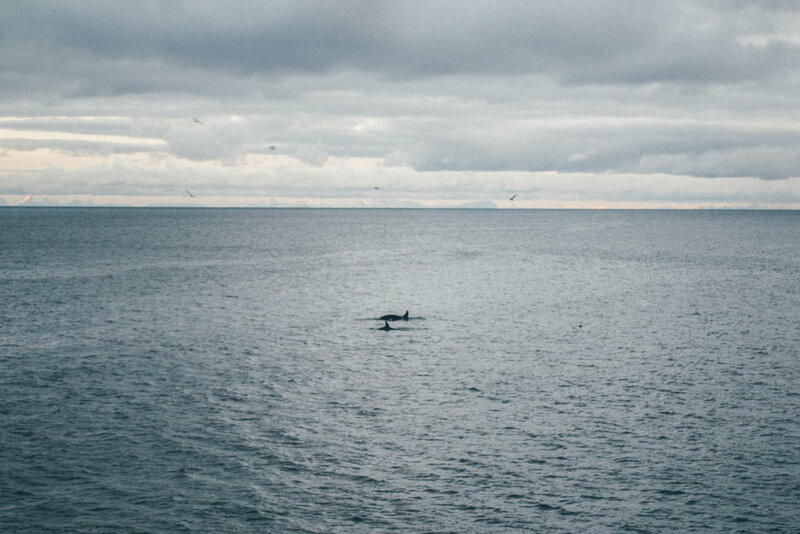 Arriving it was getting dark, we stayed for around half an hour to photograph the village and gazed out into the sea and what we saw was amazing – dolphins! We couldn’t believe it. What a great way to end our trip! We knew the drive home was going to take all day because we made a deal that if anyone wanted to stop to get out the car and take photos we just had to say. We did give these stops a five-minute time limit or we would never make it back to Kuntotie! Regardless, we made a lot of stops on the way home as we drove in daylight. 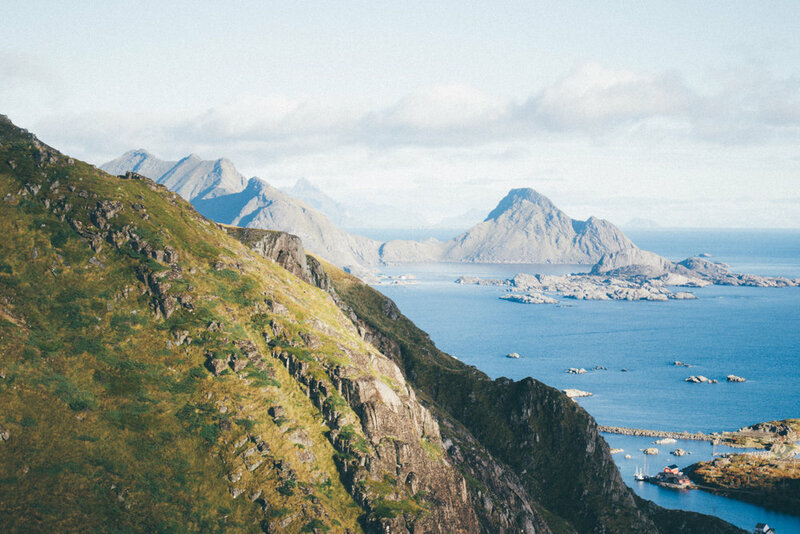 We just couldn’t believe how amazing Norway is and all wanted to return in the future. 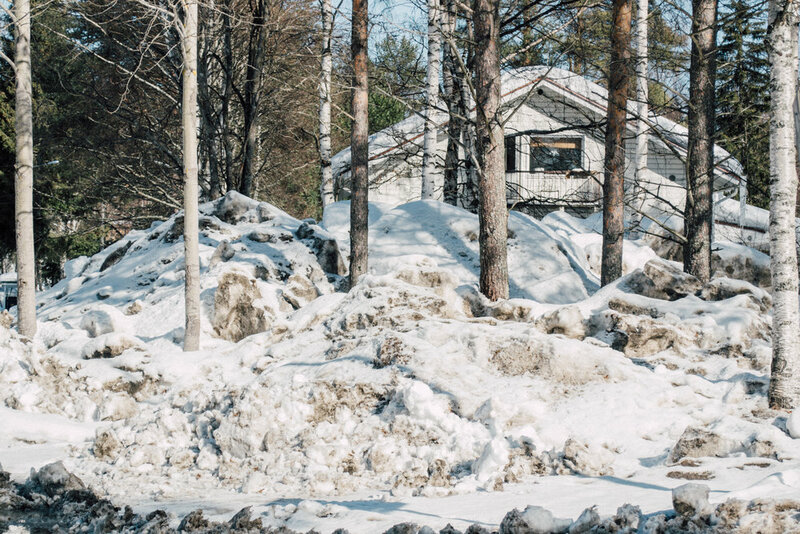 Before I was even accepted to study in Lapland I imagined there to be nothing but snow here – naïve I know. 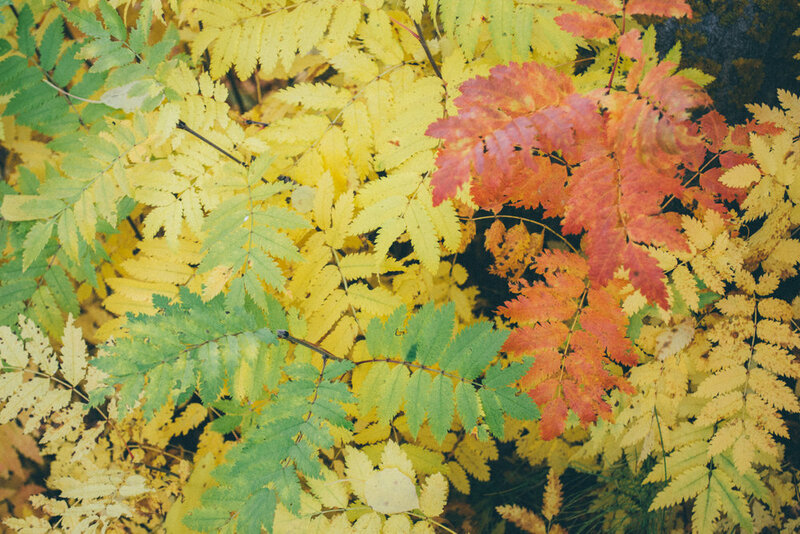 When autumn came around, it came around fast. 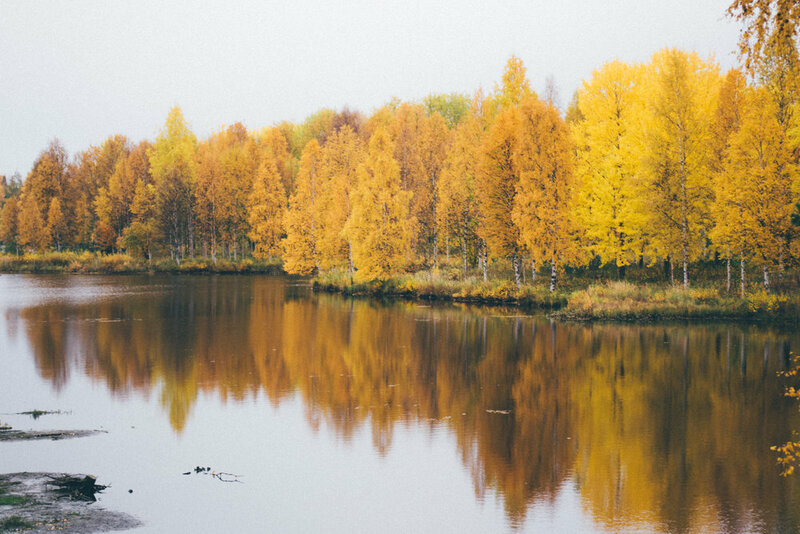 One day we were appreciating a (cold) Lapland summer and then the next day the leaves were already yellow. 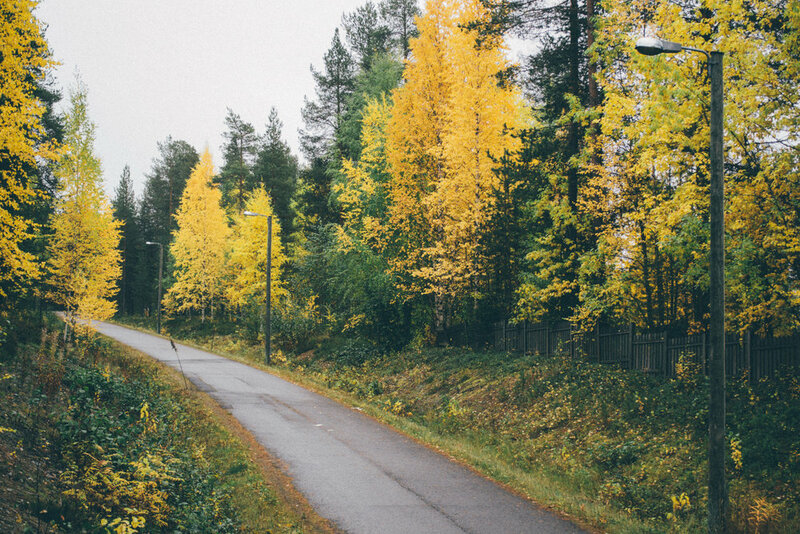 I was surprised autumn came in September here, and I genuinely and completely fell in love with it (so much so I thought it deserved it’s own post). Nature is something that I love, something that I photograph and something I live with. Cycling to Uni with an array of yellows oranges and reds filled me with contentment. Cycling anywhere became a task because every so often I’d have to get off my bike, whack out my camera and photograph the scenery. 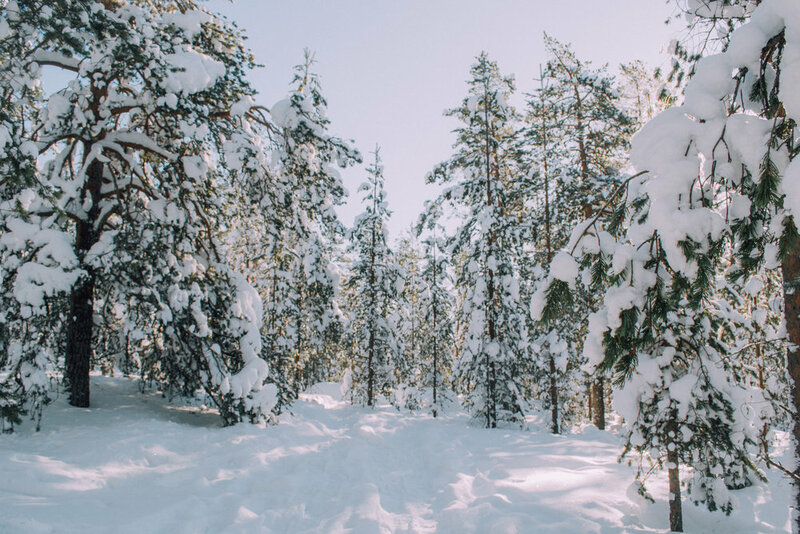 I found out very early on that Lapland has 8 seasons, autumn-winter; winter; spring-winter; spring; spring-summer; summer; summer-autumn and autumn. So Ill be experiencing 3 periods of autumn and I am very excited of what it will bring. I often found myself going on bike rides just to photograph the season. It also helped a lot that one of my projects surrounded the nature in Lapland. A marriage made in heaven I suppose. My first impressions of the University were that it was really well facilitated for the art and design faculty. There were lots of workspaces for painting, mac suits, and art libraries. I was so happy with all the materials and spaces that we had access to for free! Back in Coventry we have to pay for materials and printing so I was very excited to begin getting the most out of my time here, allowing myself to experiment with materials I wouldn’t particularly use, as money was no longer a barrier. The modules I have chosen for first semester are Fine Art Excursion where I went on a trip and will be making a photobook of the experience. I’ve taken Art Practice in Context, which is predominantly a Finnish class, however as I am studying for a year I was allowed to take this module. It involves a year long project on a chosen subject and form, I decided that I would still like to keep up with photography projects in preparation for my final year project when I return to England. I am also taking a module called Introduction to Arctic Cultures, I was interested into learning more about life in the Arctic and the traditions it holds, I will have to produce a presentation and corresponding essay for this which again I thought was good practice for when I begin to start my dissertation. As well as trying to prepare myself for third year in England, I wanted to take this year abroad to try other things. 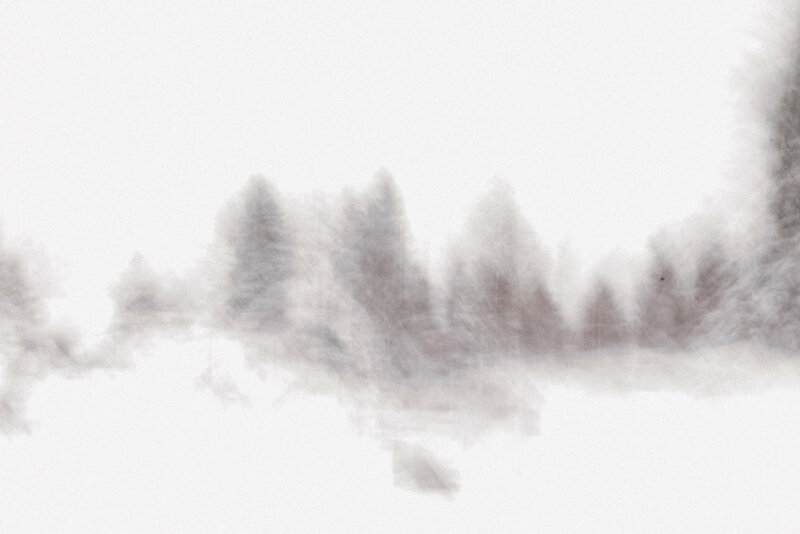 I chose to study Adaptation Charting where I can chart my experiences of living here in Lapland, through art. I found this module so different and refreshing and it was really interesting to have discussions about how everyone was dealing with the changes here and if they preferred it or not. My final module was Independent Photography Seminar which was lead by the photography tutor here, it is interesting to hear another person’s perspective on teaching photography and I believe it can only widen my skill set. 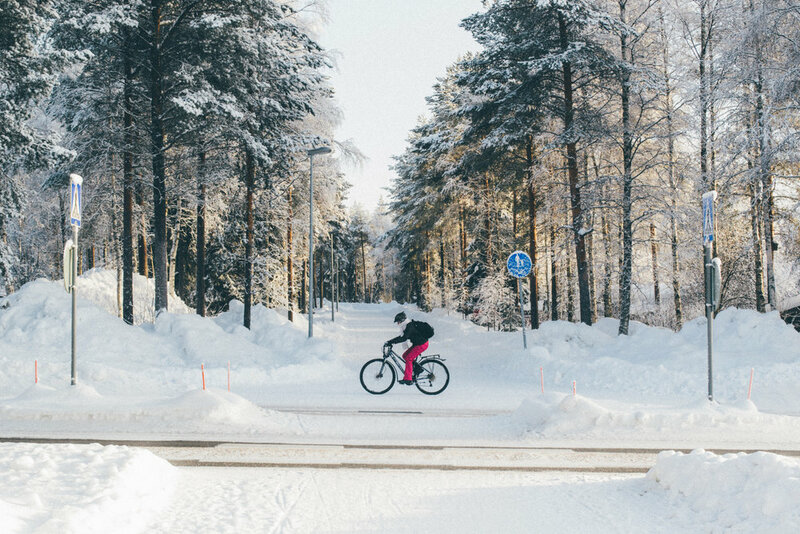 I’m glad I can say I study at the University of Lapland and I am excited for what work I will produce throughout the semester, although it is very far away from my accommodation I now have invested in a second hand bike which I love riding! After only living in Rovaniemi for a week I was already on my first trip. Here I had the chance to meet some of the people on my course and my teachers. We were up early ready to take a mini bus to Raattama! The journey entailed reindeer and gorgeous views. This was the first time us students had seen reindeer, so naturally we all grabbed our mobile phones to snap photos. The drivers politely slowed down for our benefit, as I am sure reindeer are a very common sight here in Lapland. On route we also made a few stops to buy some food while it was still cheap (by Finland's standards) before we were further north where everything was even more expensive. We also stopped off at another second hand shop because why not? During the journey we were introduced to our assignments for this course: Fine Art Excursion. And we were also informed on the exhibitions and artist talks we would see (exciting). We were instructed to photograph during the trip so we had images that would eventually be made into a photobook. We also had some interesting tasks set where we were given child-like materials to put into the environment surrounding our accommodation, it was an environmental art task - something which was very alien to me as I usually focus on photography. By undergoing the tasks set I realised how heavily this course focused on other forms of art, not just photography. This was learning curve in itself and set us up for the teaching style of the University. I struggled a lot with the watercolour task and felt very defeated, wondering how I would even succeed the modules for the year. However I was surprised to receive encouraging feedback from my environmental art piece and I’m glad I chose to take different modules to challenge myself and interpret art in different ways. The other days of the excursion involved many hours of hiking, I found it quite difficult as back home I live in a city that doesn’t have access to hiking trails. The views were gorgeous and fulfilled my photography urges. We also grilled food and I received too many mosquito bites to count. During this trip I was thrown into another Finnish habit – sauna. Sauna is a big thing here. BIG. Clothes are not a necessity, if anything they are a negative aspect. Going in the sauna with my naked teacher was an experience, but let’s just say I won’t be going naked anytime soon. After the sauna a group of us walked into the lake outside the accommodation, it felt freezing but so refreshing. I feel like I’m already becoming accustomed to the laid-back Finnish lifestyle. For the first social event of the year we were invited to a 'Grill and Chill' evening. Grilling is a big part of Finnish culture and many people who live here hike in the forests and grill sausages and corn. There seem to be many fire pits dotted around the area, which are free to use for anyone. All of the Kuntotie residents hiked up a small forest to Ounasvaara, a place that had two of these grill areas and a watchtower, which is primarily used for northern light watching (you can also see Rovaniemi town from the top too)! The hike was a useful way for myself, Lucy and Charlotte to familiarise ourselves with the path and area for when we would want to return for more exploring and northern light hunting! The event itself was a helpful way to meet some new people and begin to make friends. I was especially looking forward to making friends with people from many different places; I had a lot of interesting conversations with other students about their culture and life back home. We drank and grilled foods; even in the rain it was a great experience. I am going on a Fine Art excursion from the 28th of August until the 1st of September to a place called Raattama which is a lot further up North. 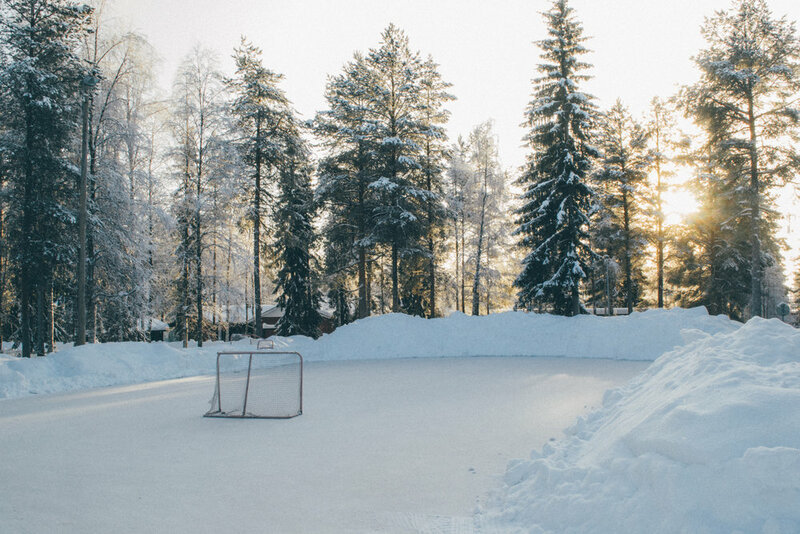 In my next post I will share all the things I got up to as well as becoming more comfortable in Finland! I have been living in Rovaniemi, Finland for the past nine months. I have been posting my experiences and photography made here in the Arctic Circle.